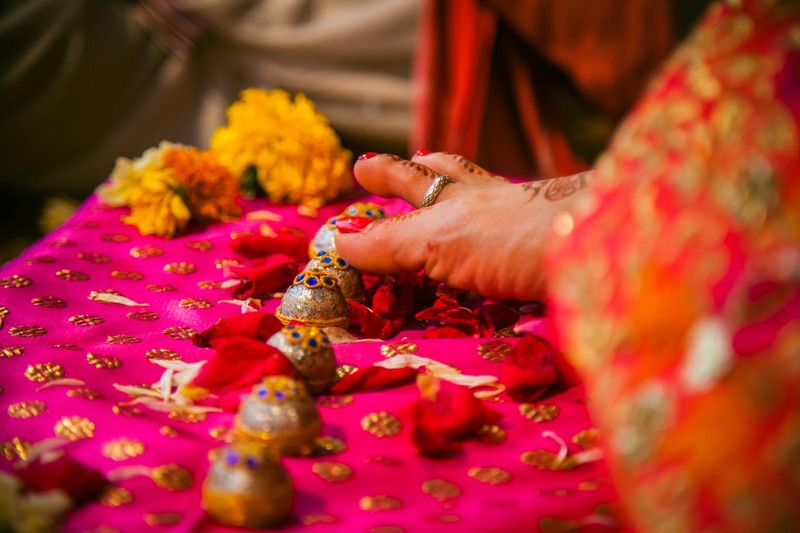 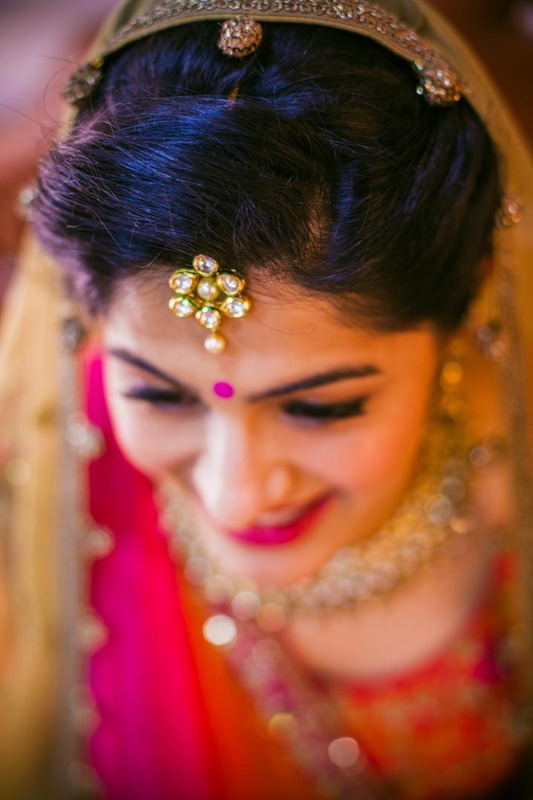 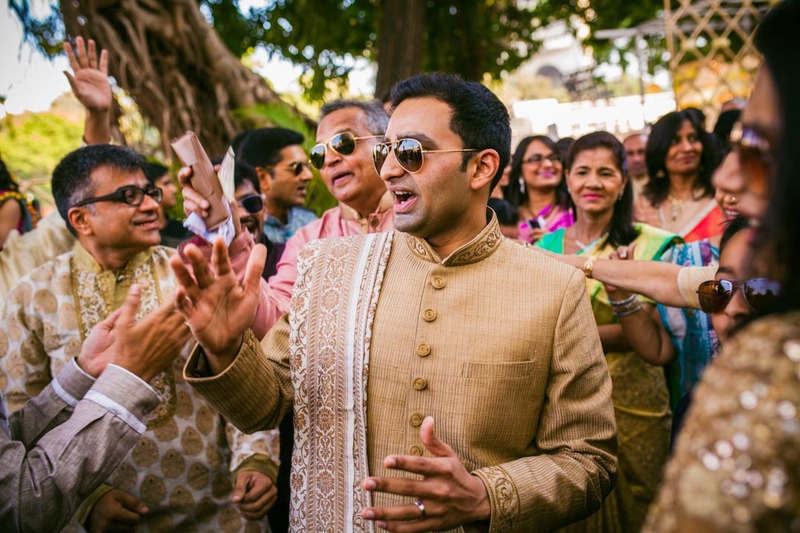 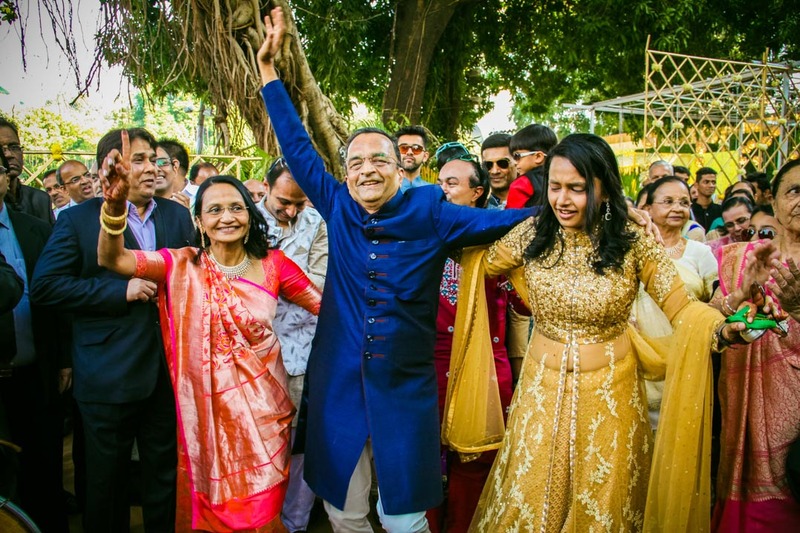 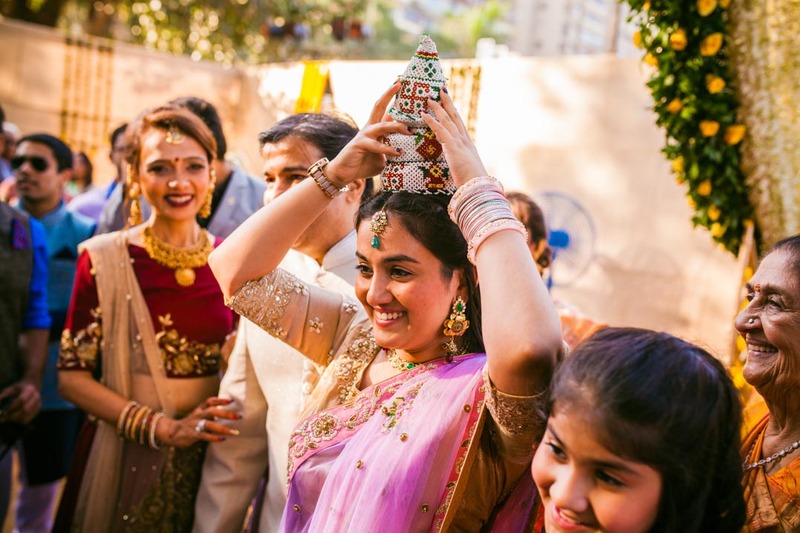 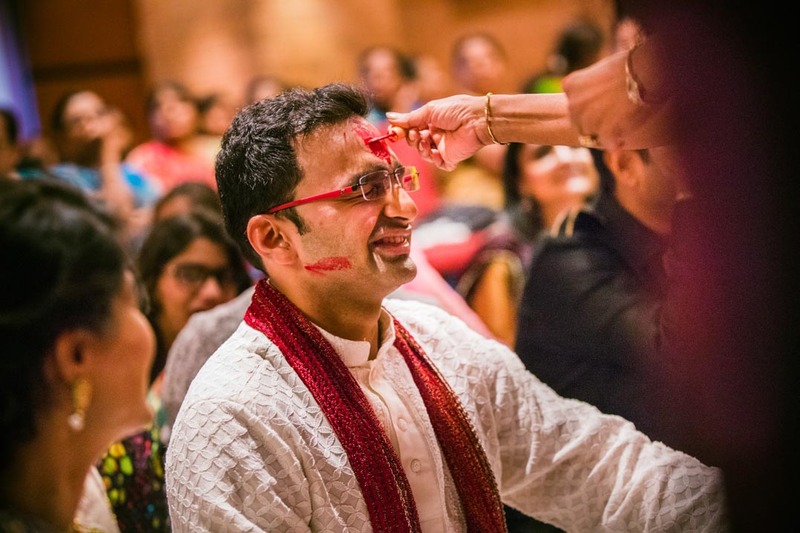 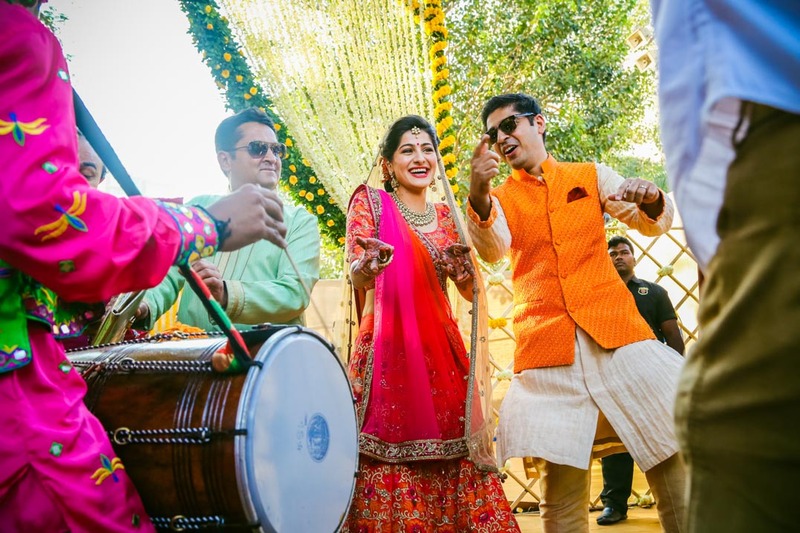 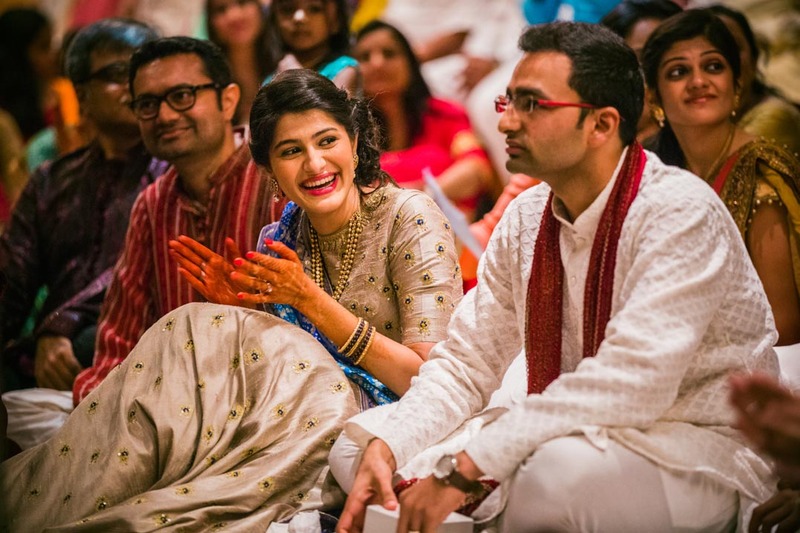 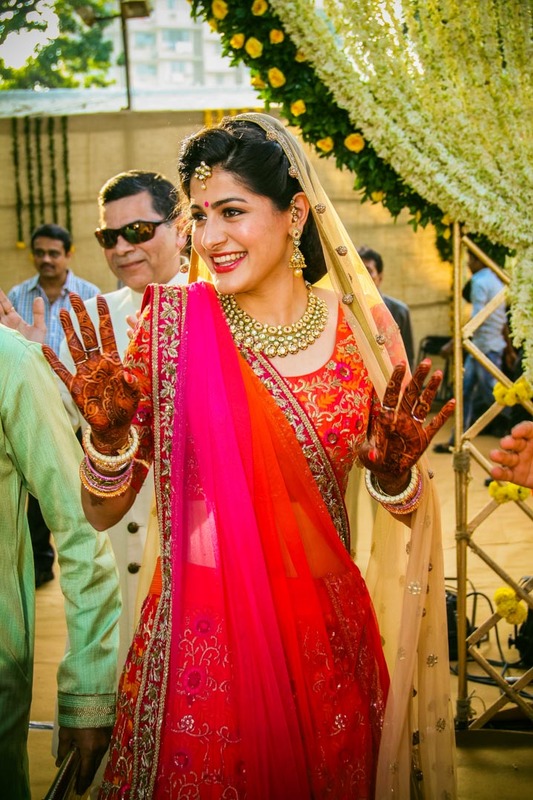 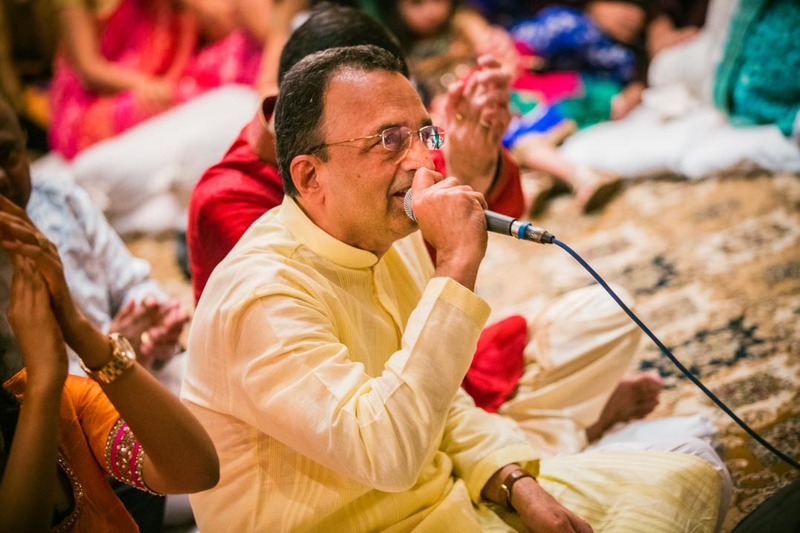 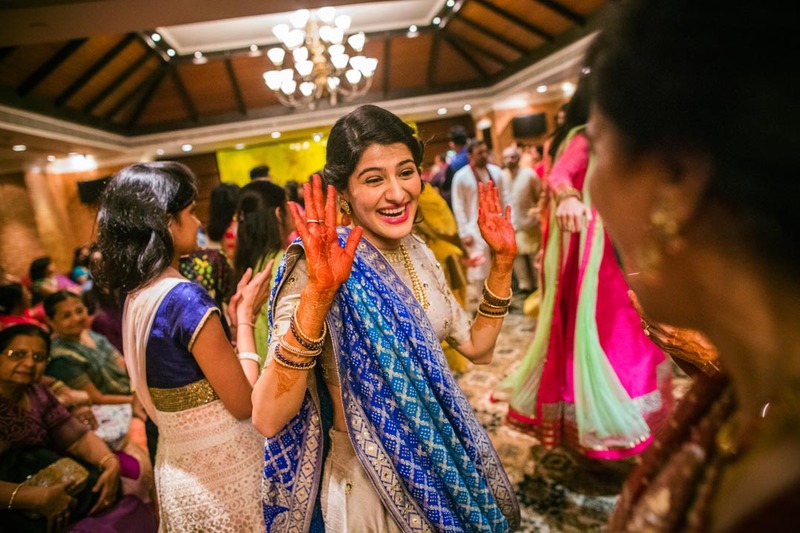 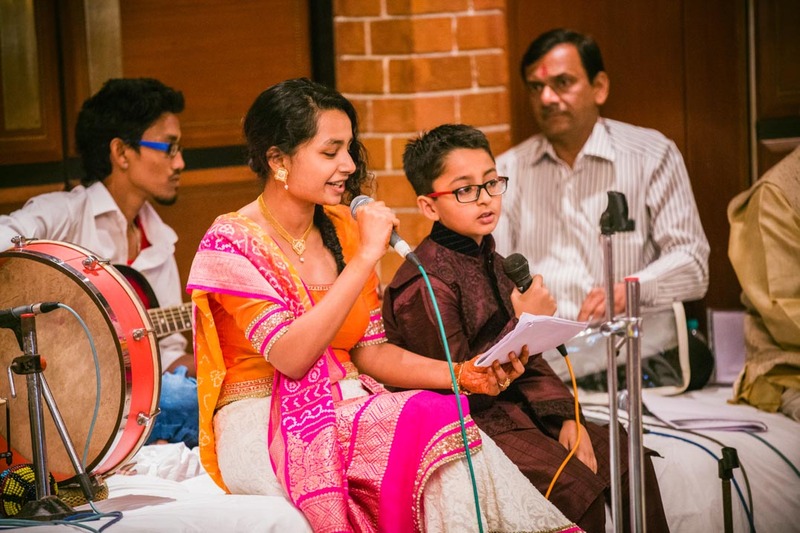 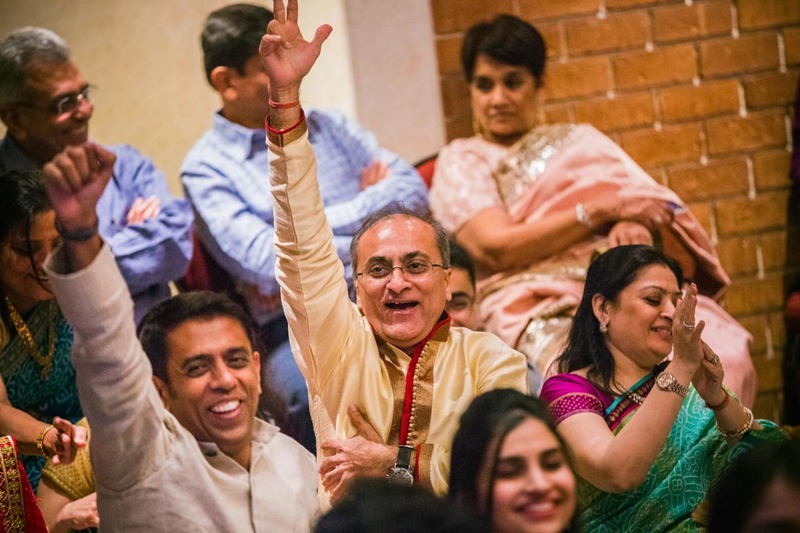 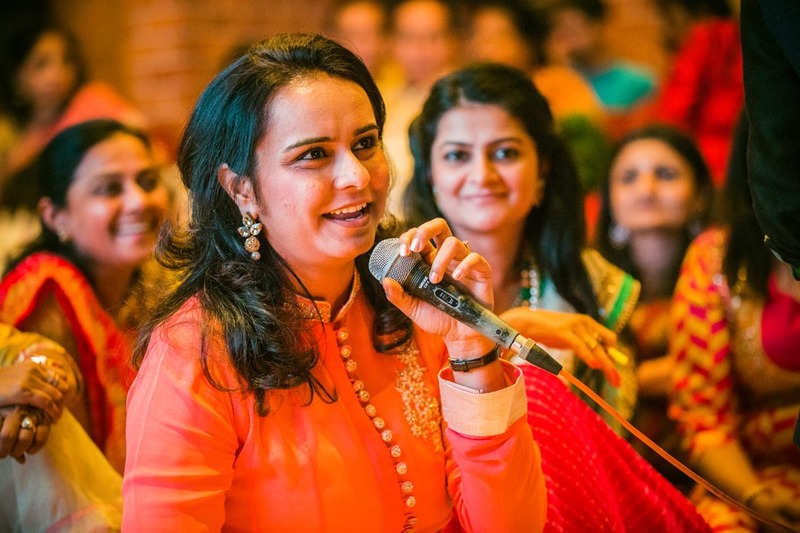 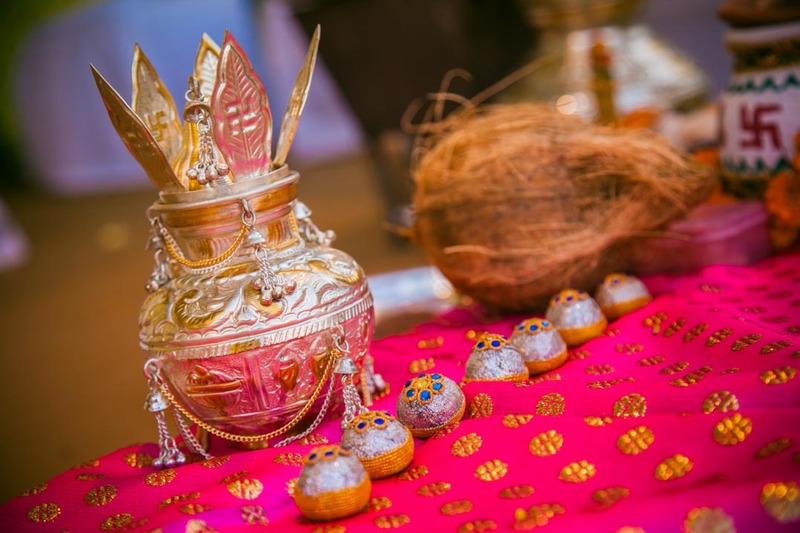 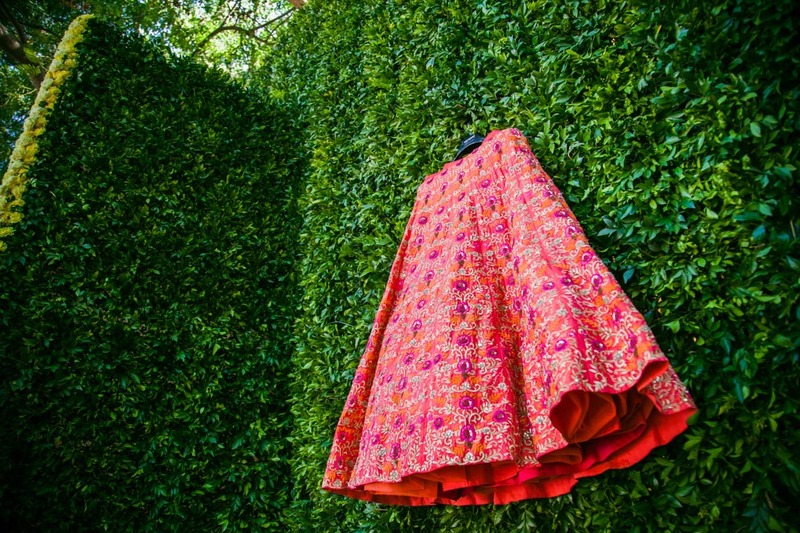 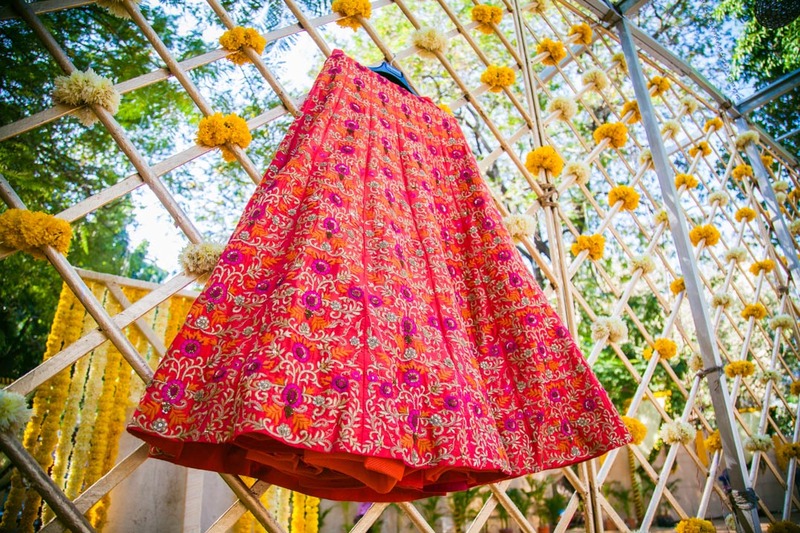 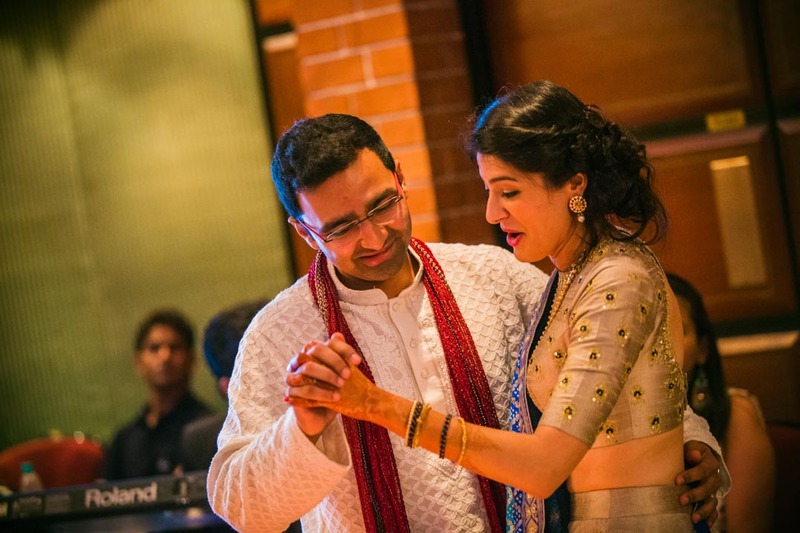 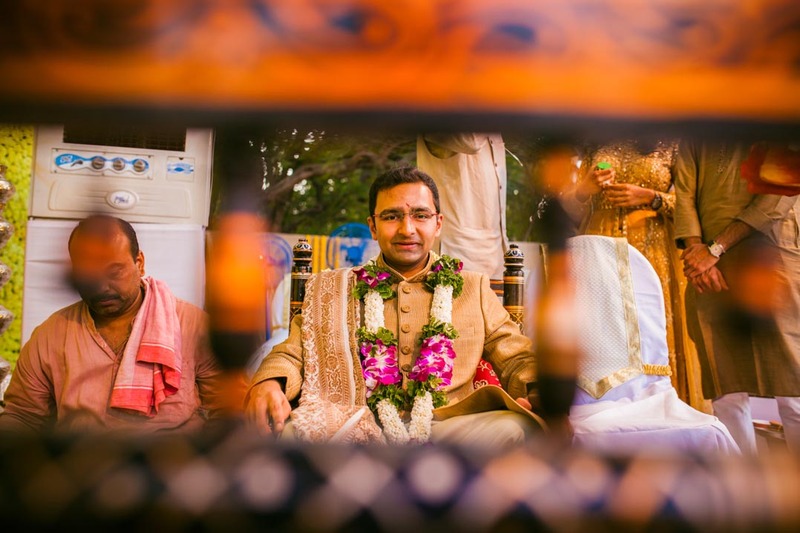 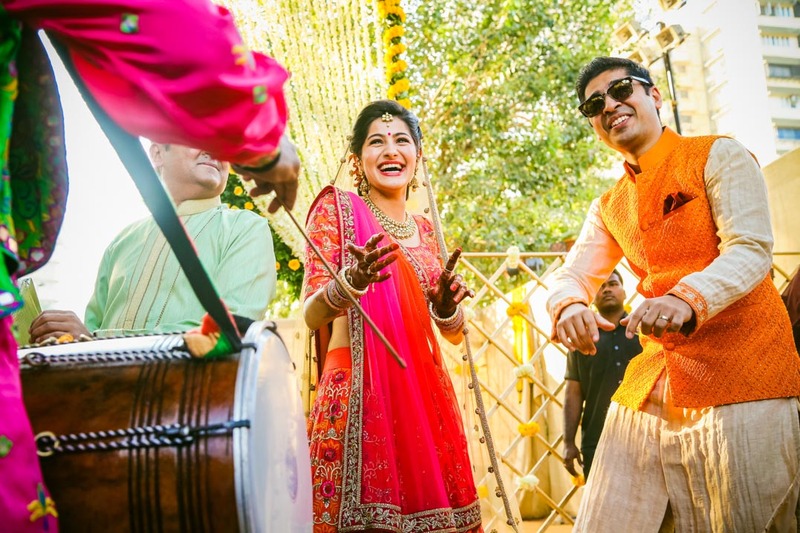 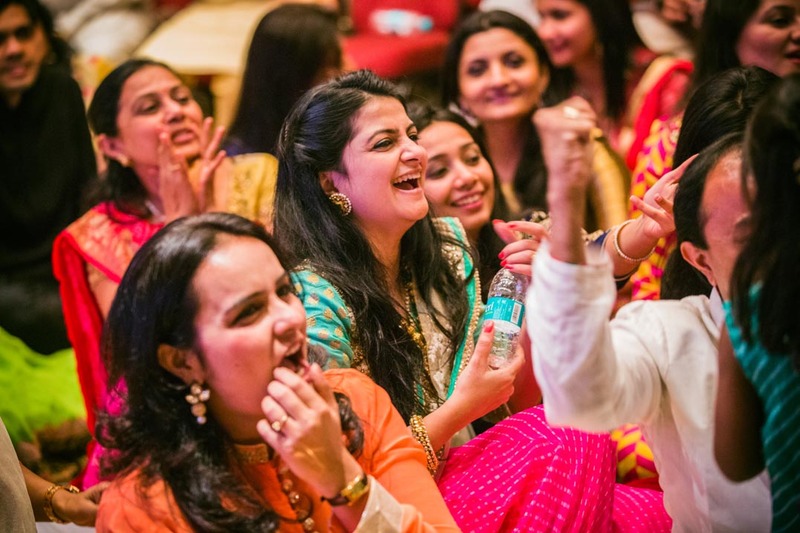 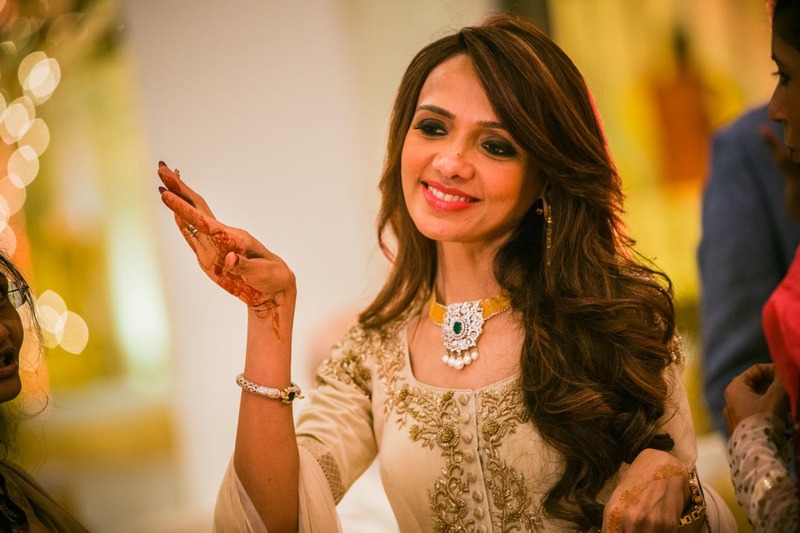 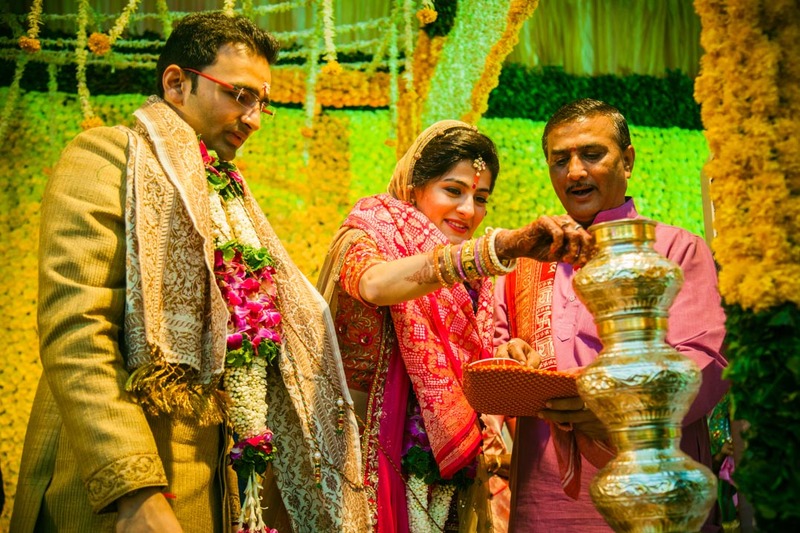 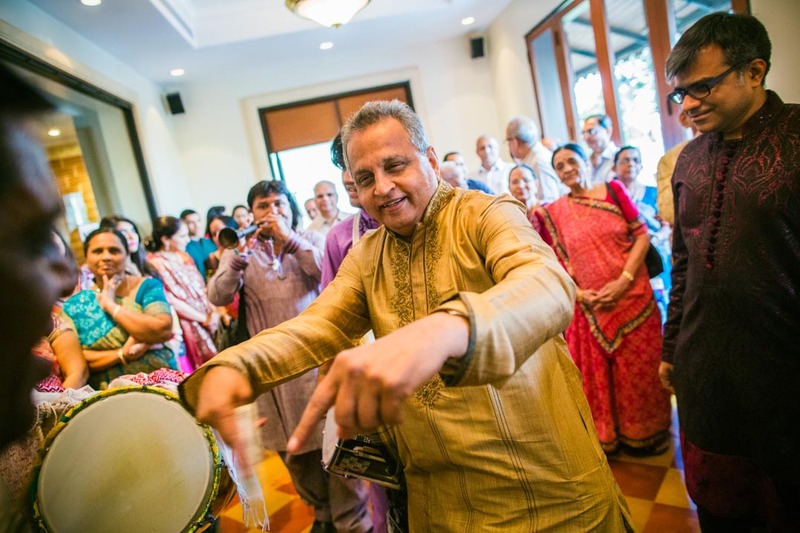 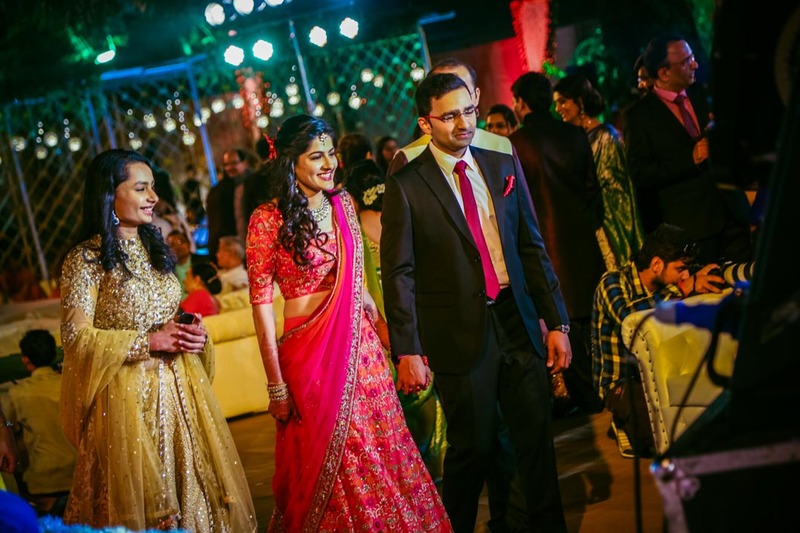 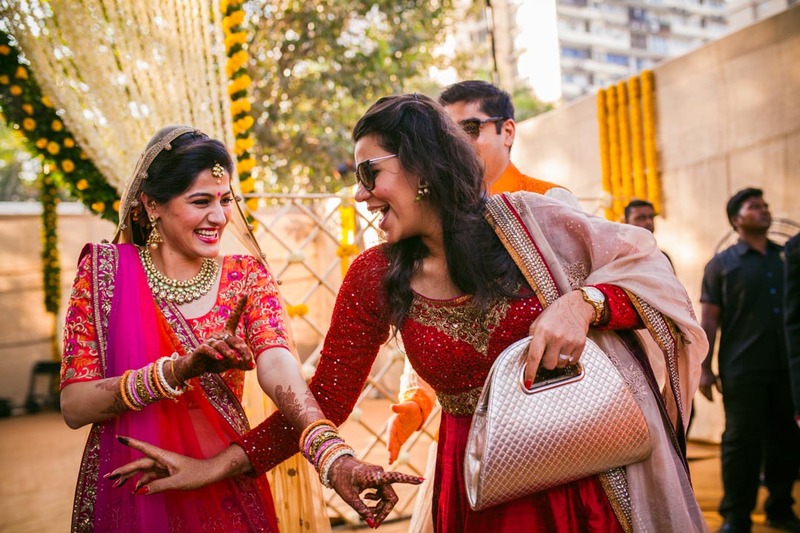 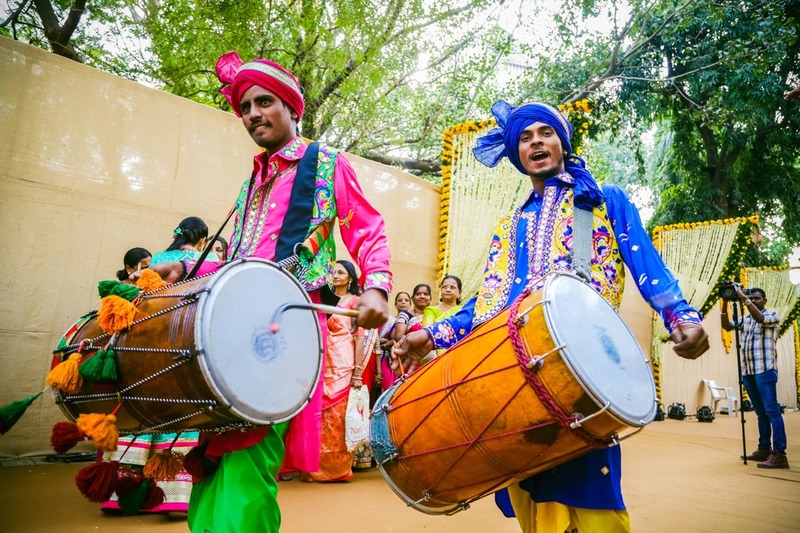 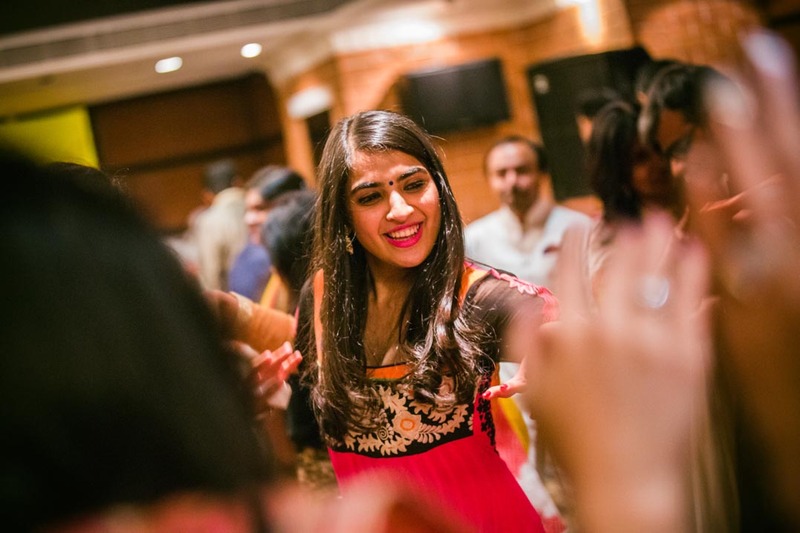 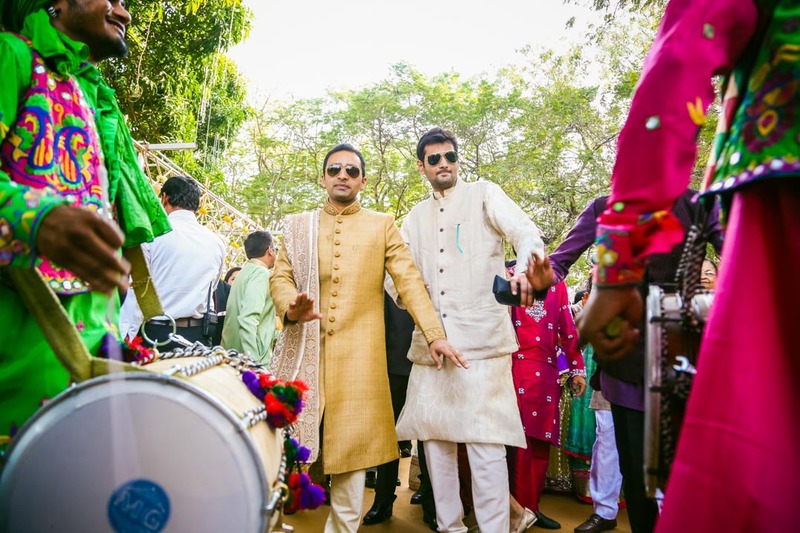 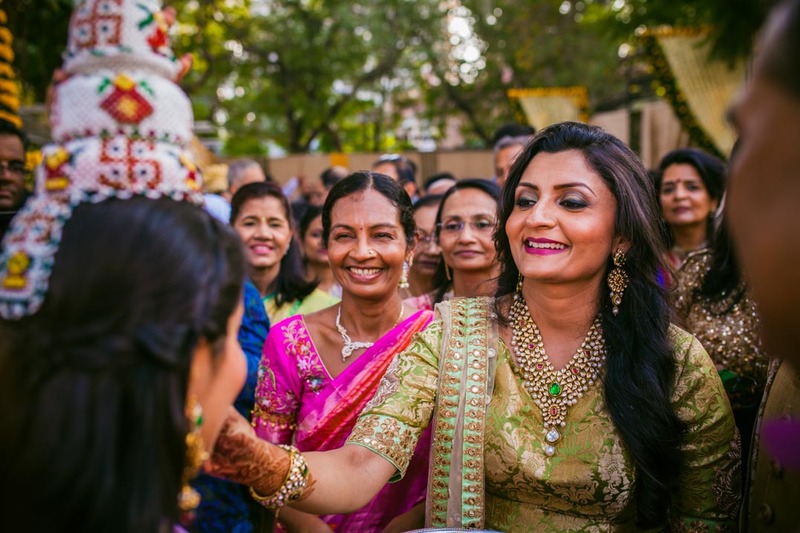 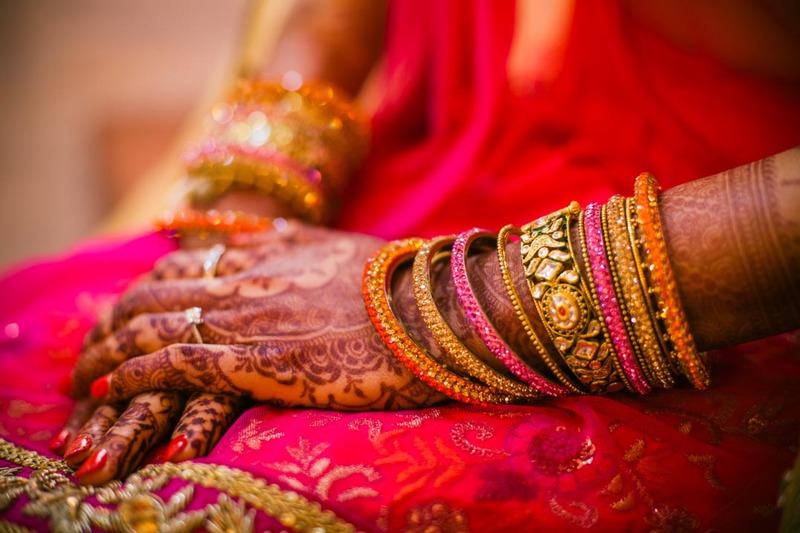 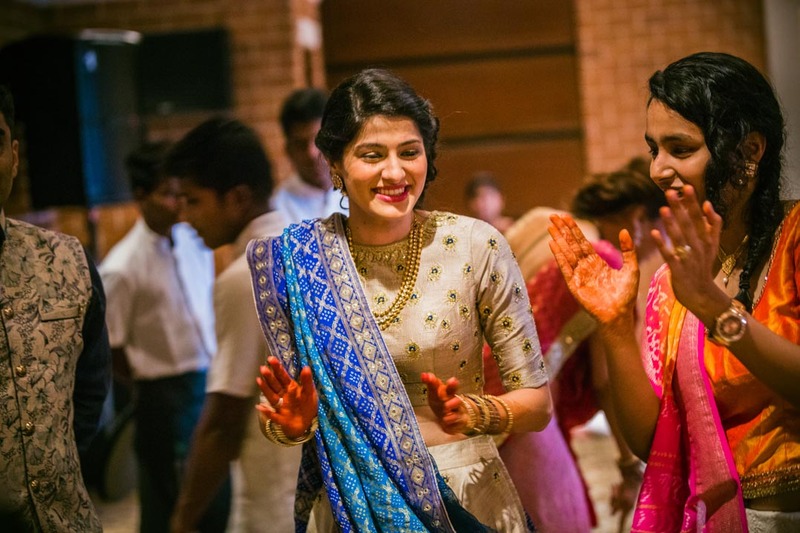 Gujarati weddings are popular for their sweet traditions, colourful attires and feet tapping Gujarati music. 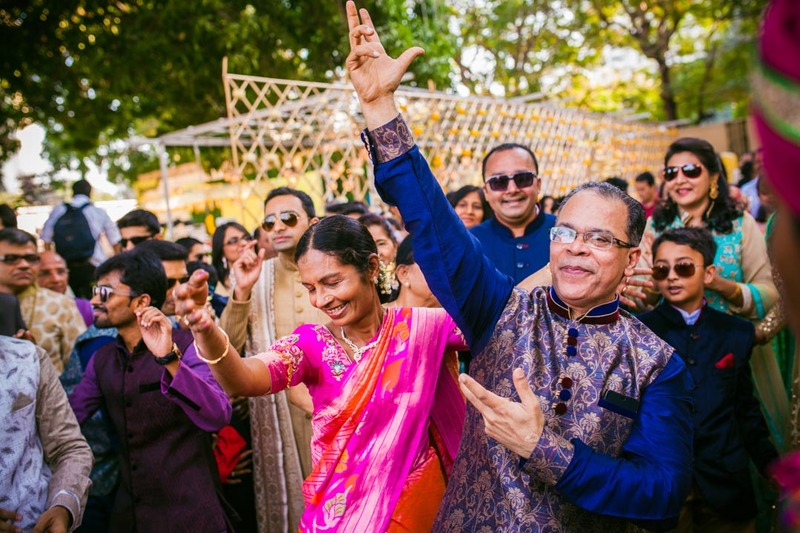 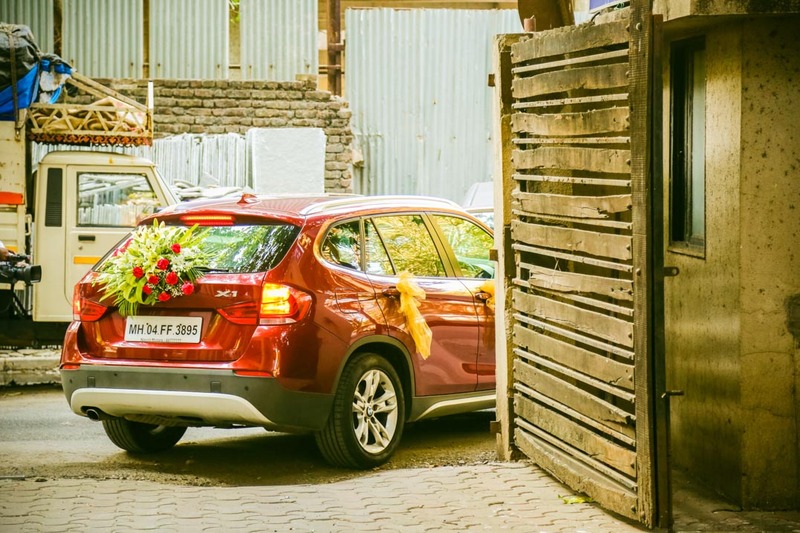 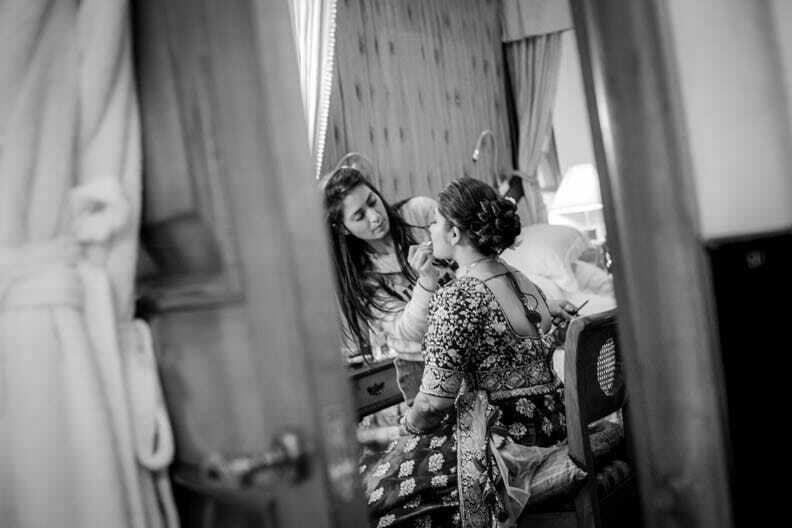 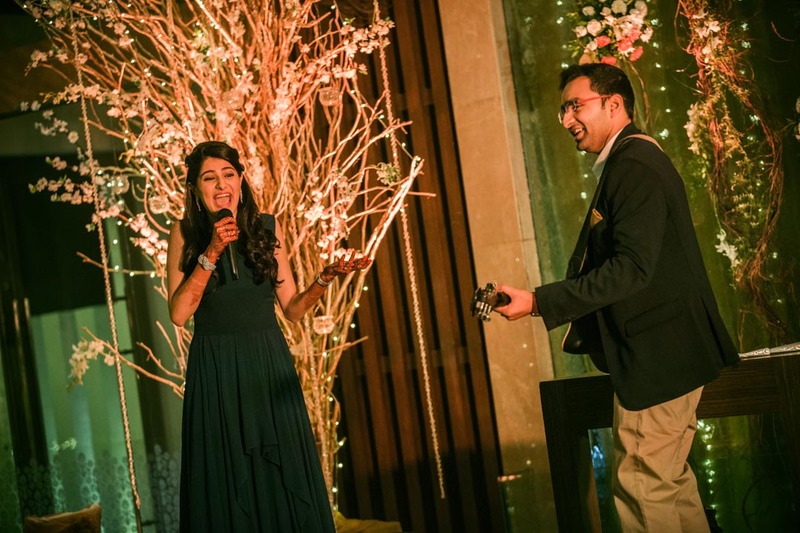 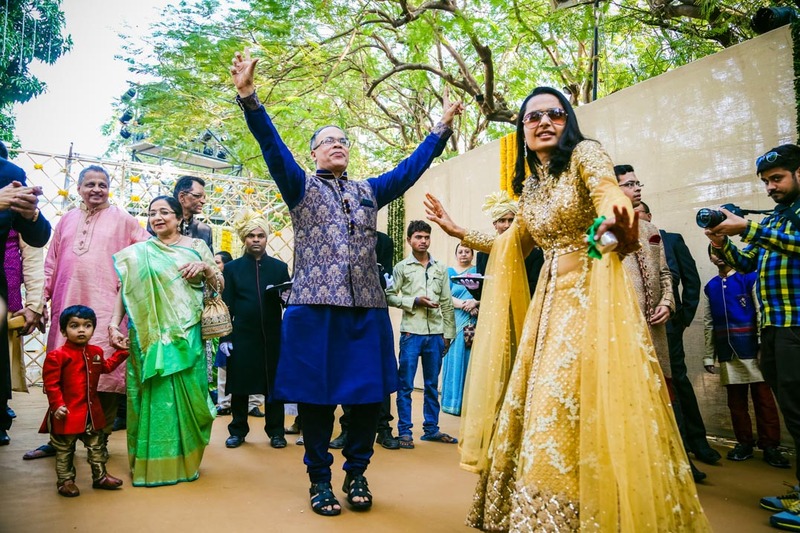 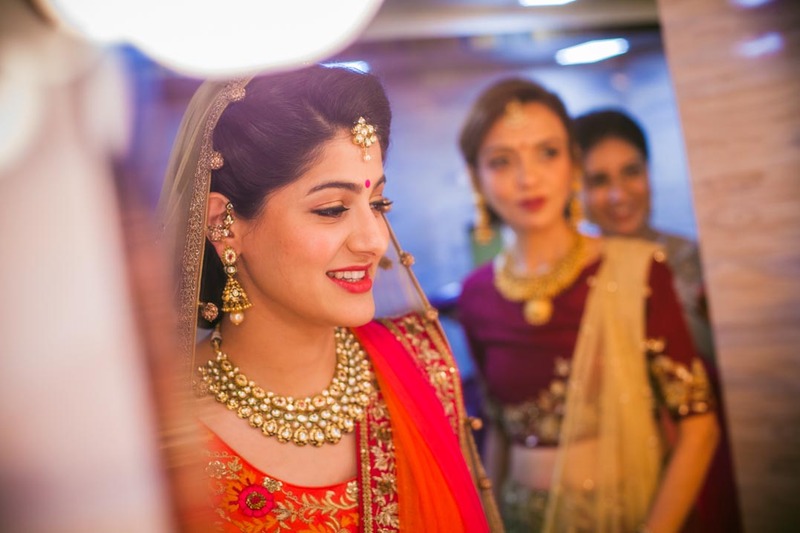 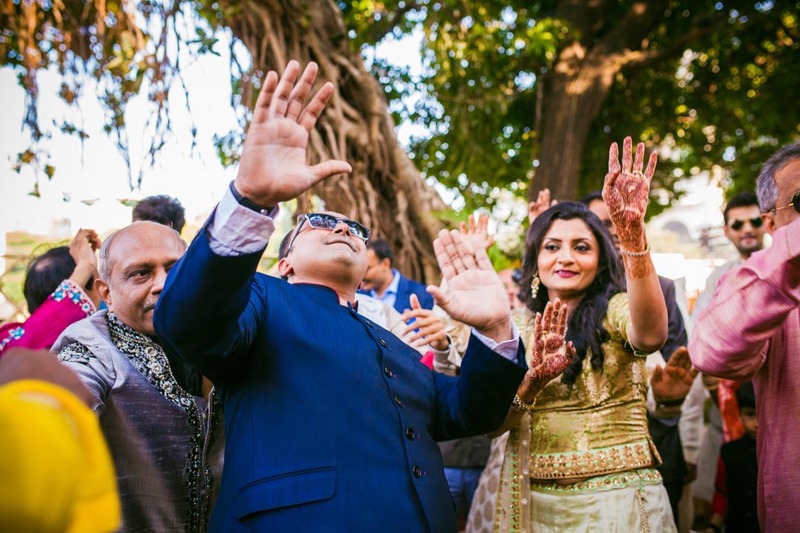 Rushil and Saloni’s was a fairy tale wedding held at Mumbai’s elite Cooperage Grounds and covered by Mumbai's best wedding photographers. 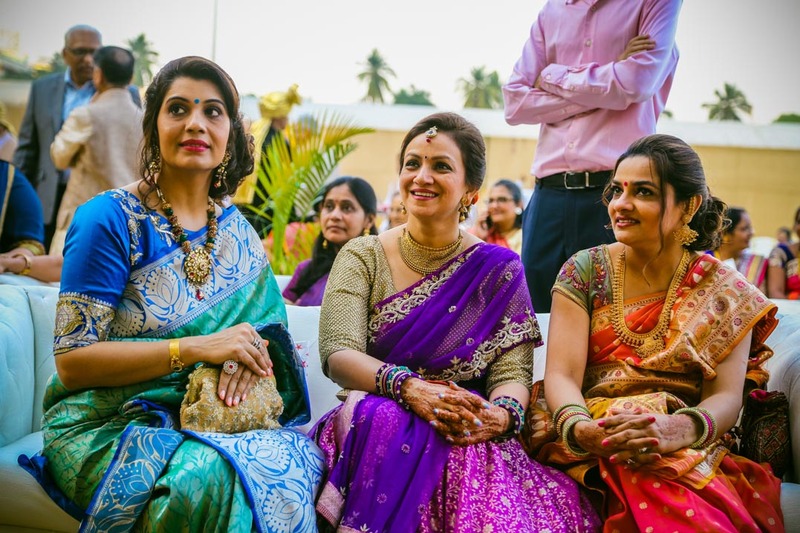 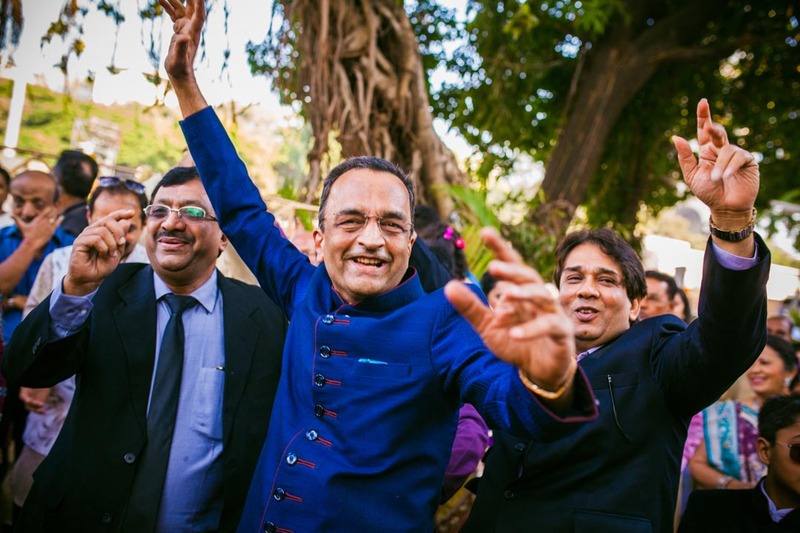 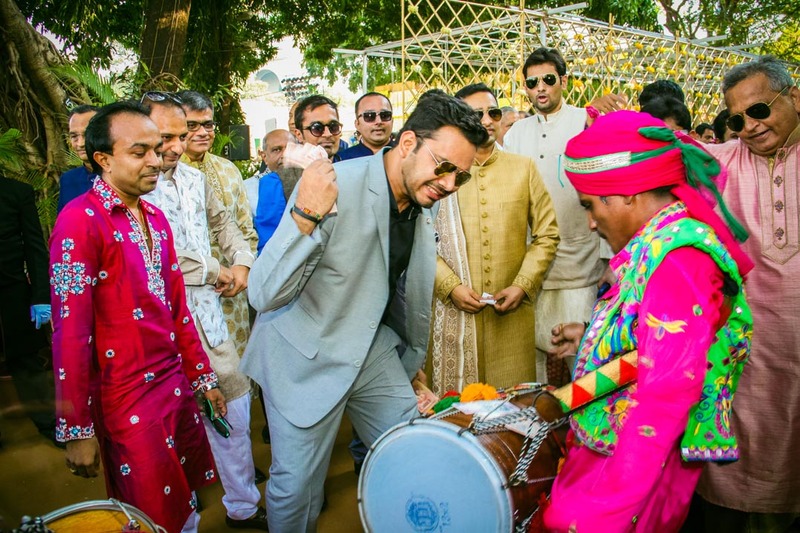 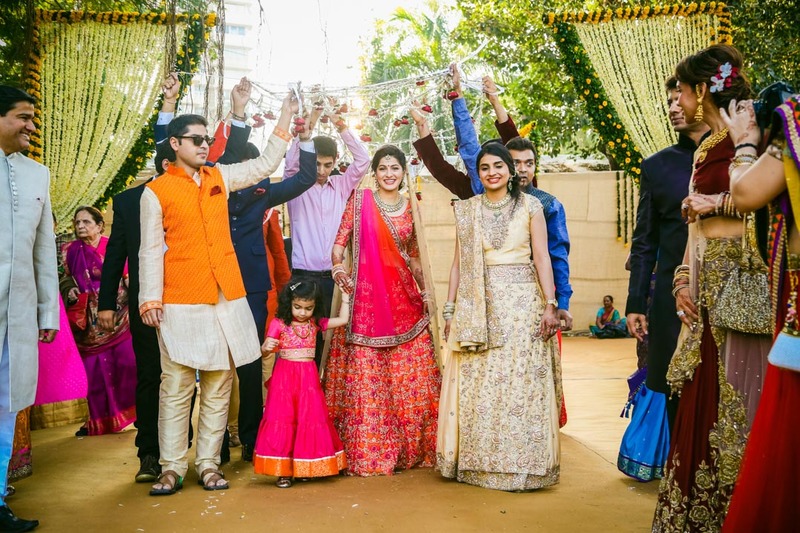 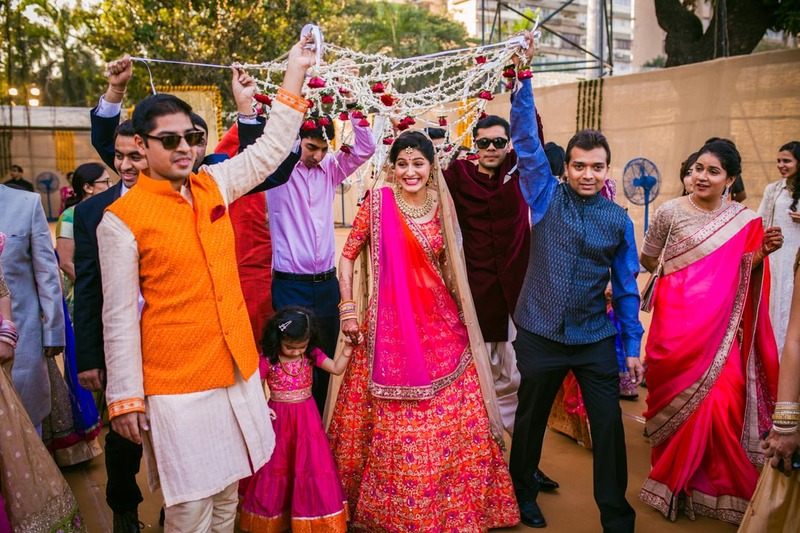 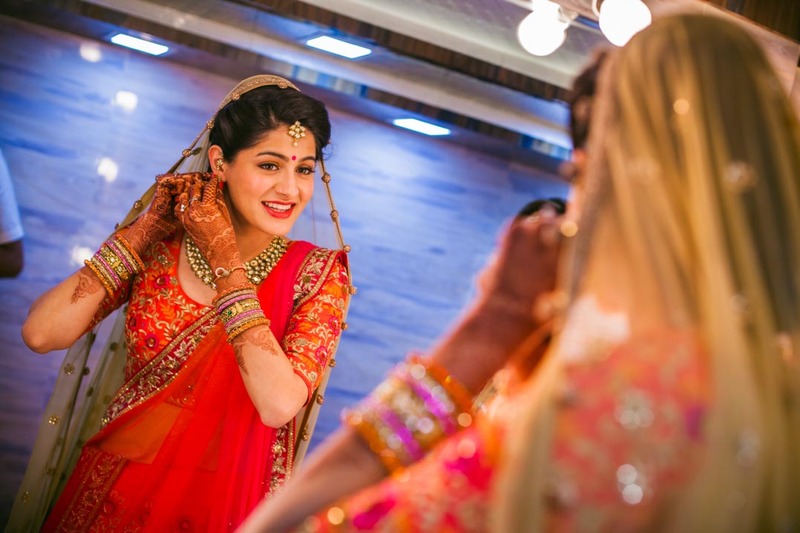 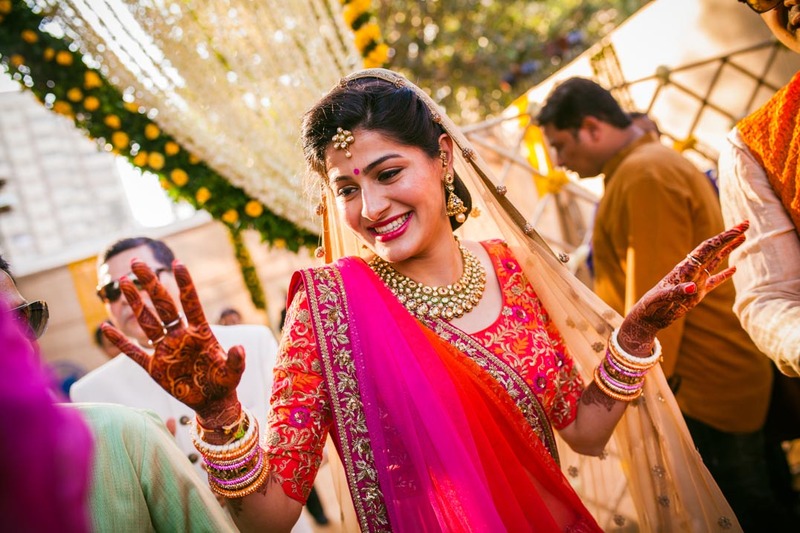 The entire baraat came decked up to perfection in myriad colourful hues to add to the beauty of this colourful wedding celebration. 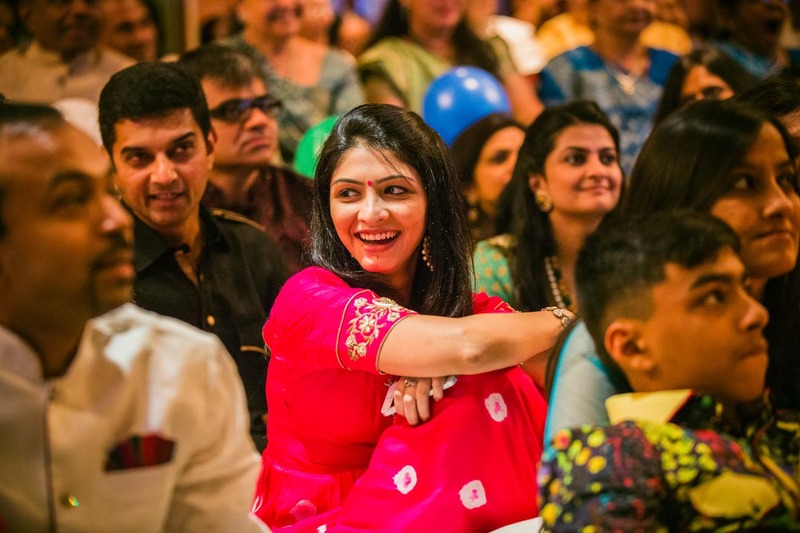 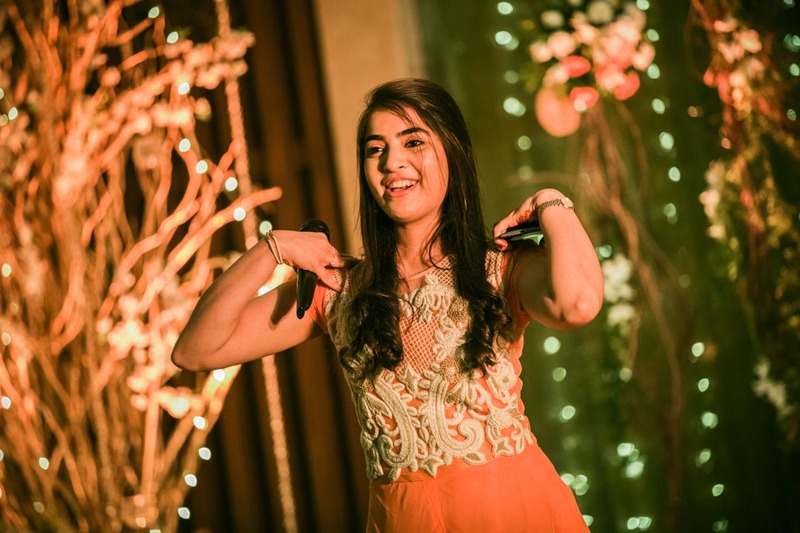 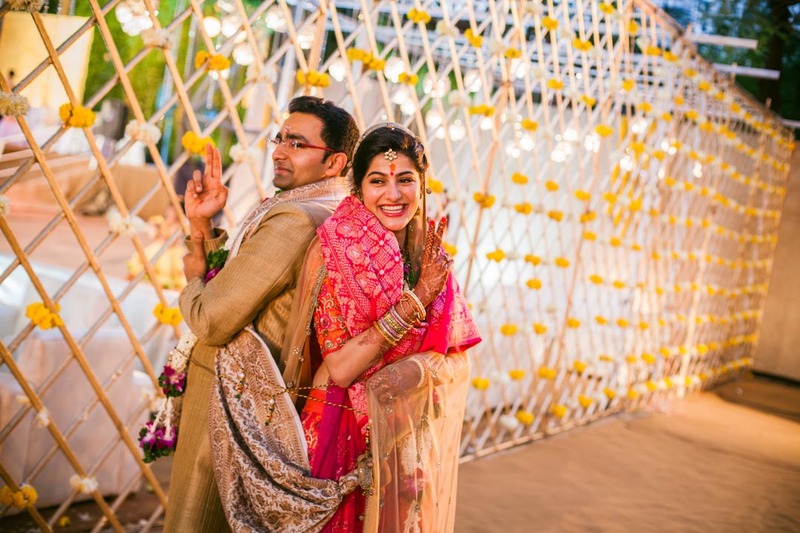 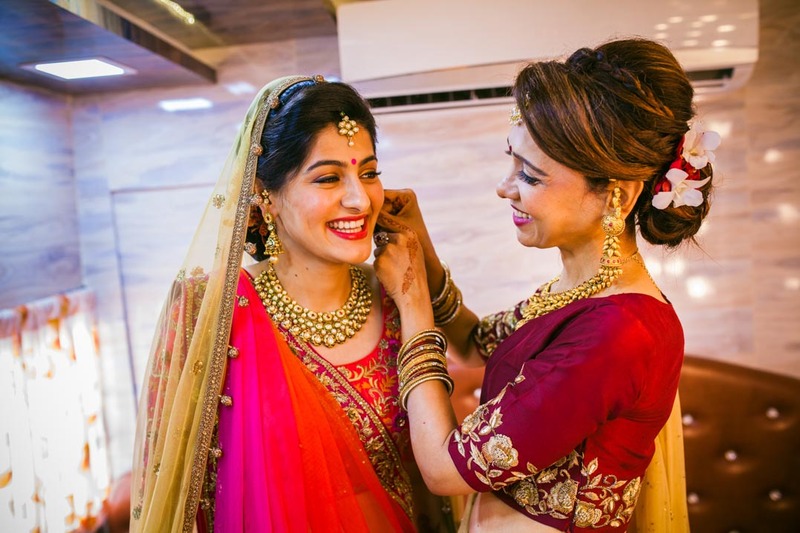 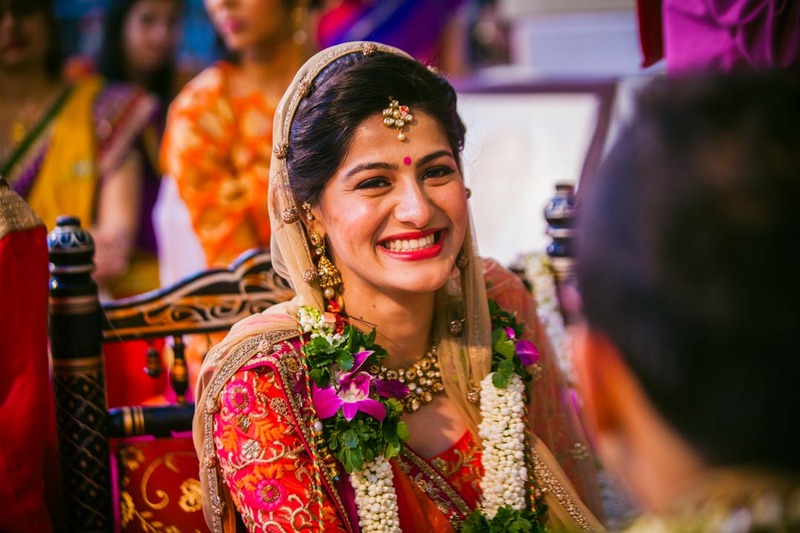 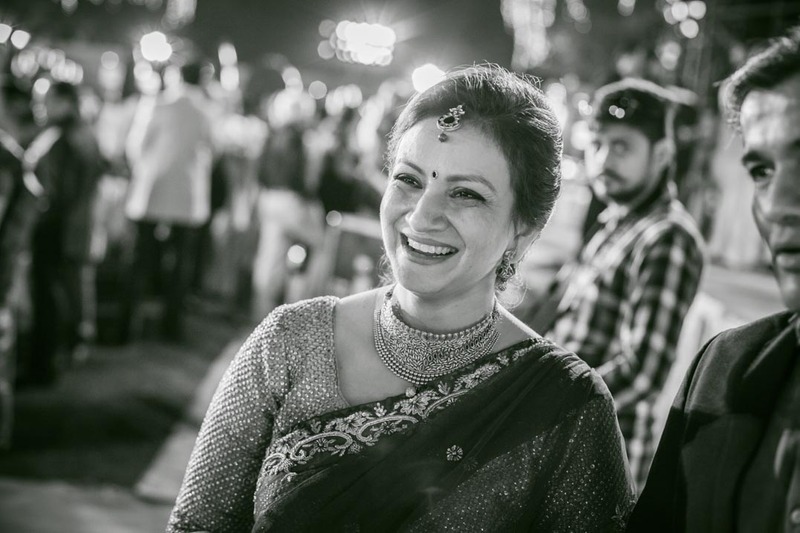 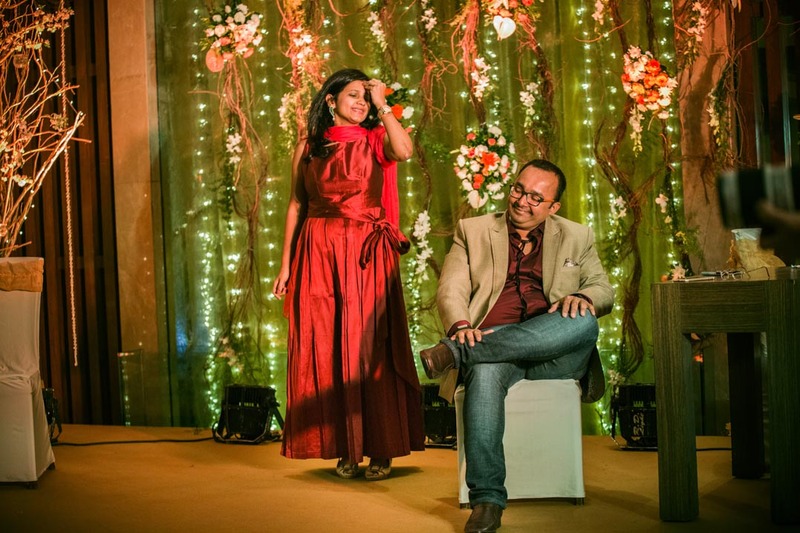 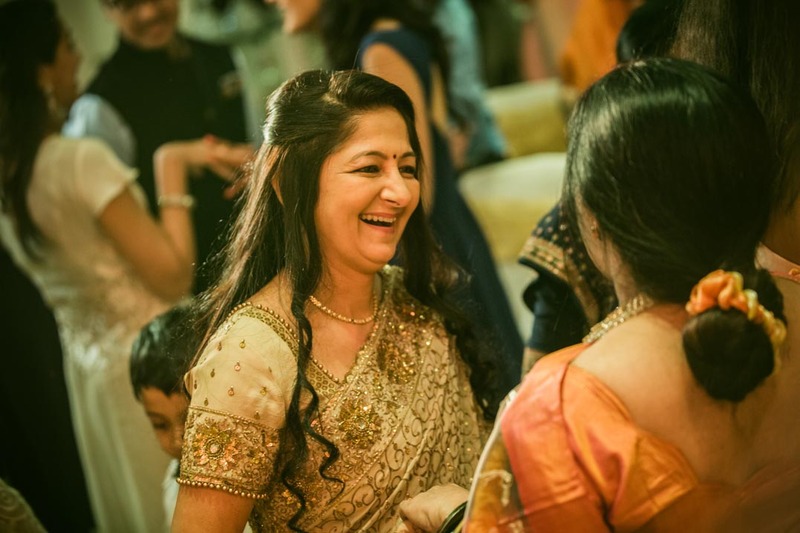 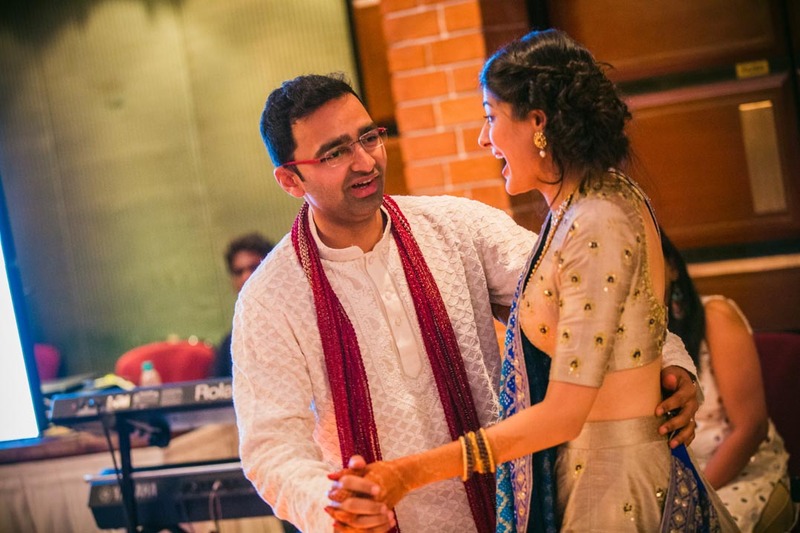 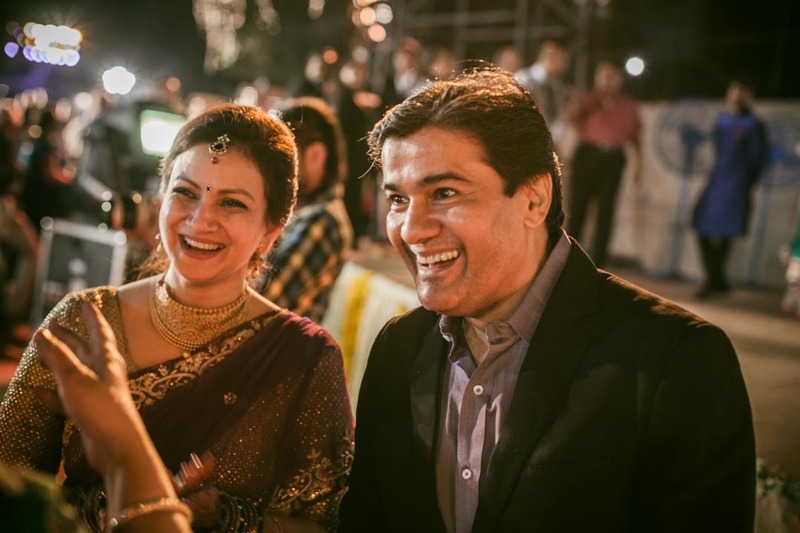 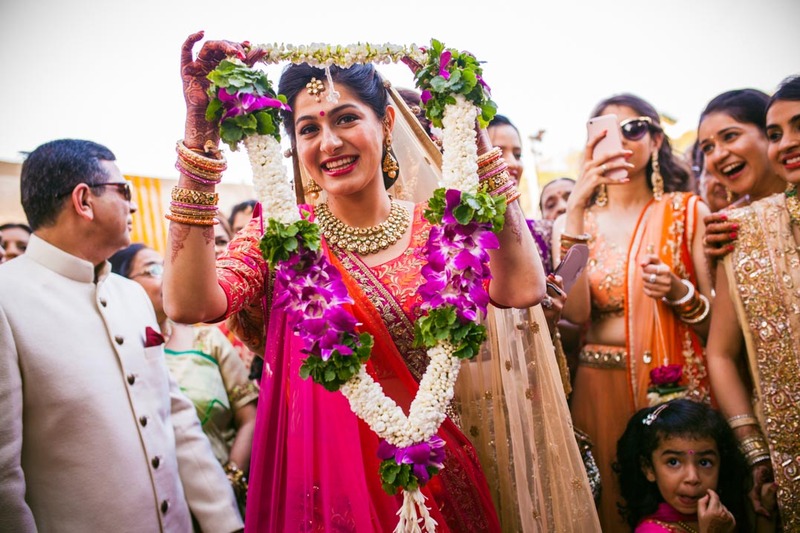 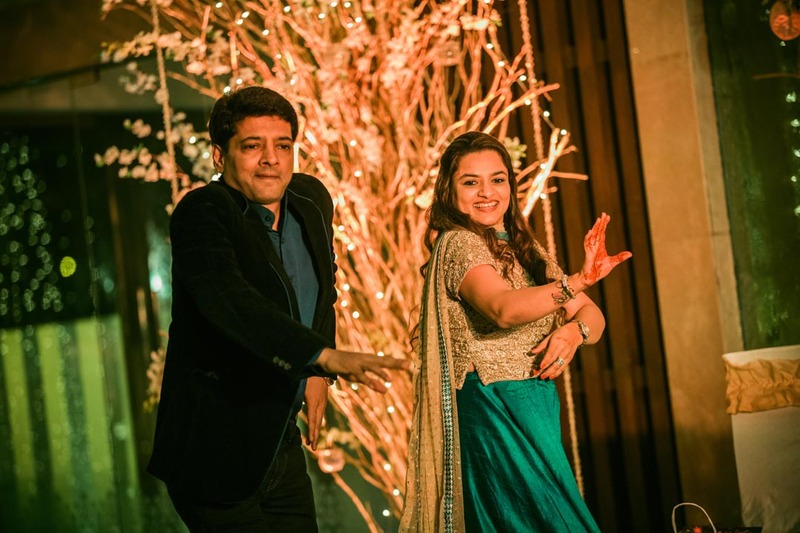 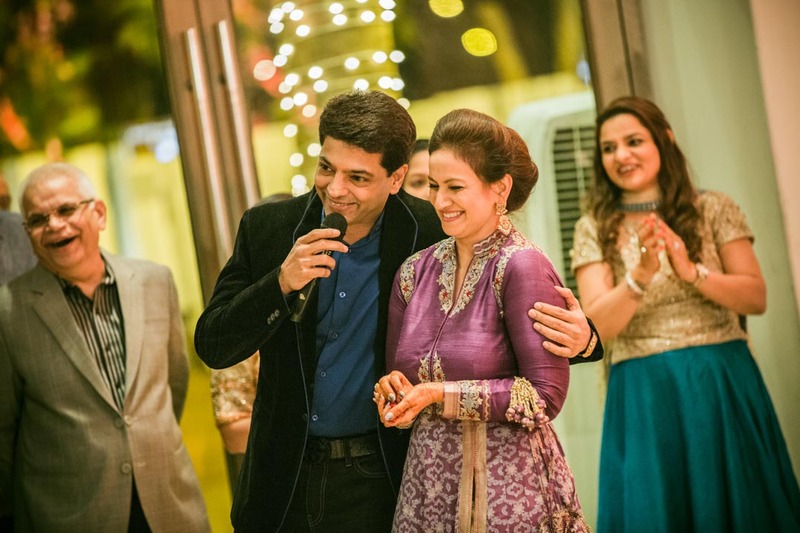 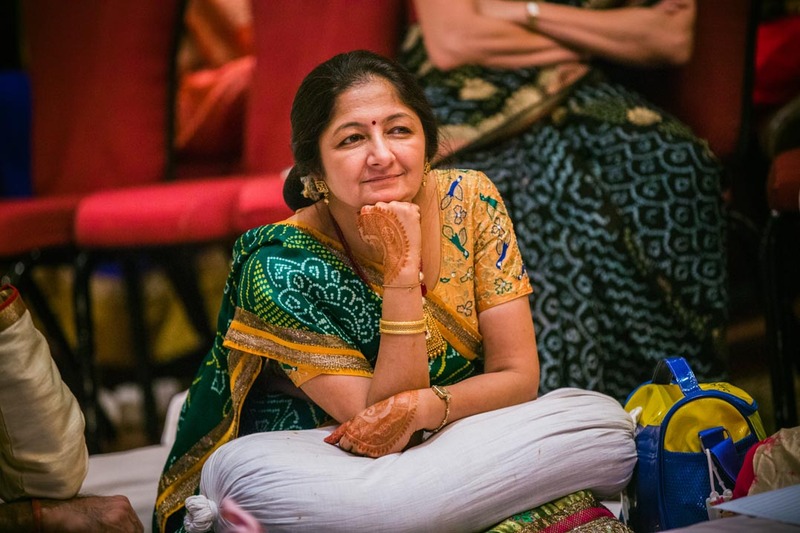 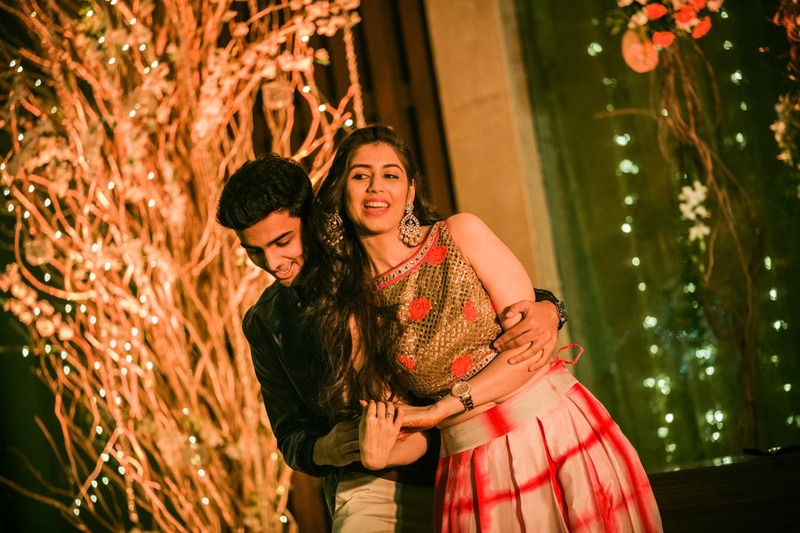 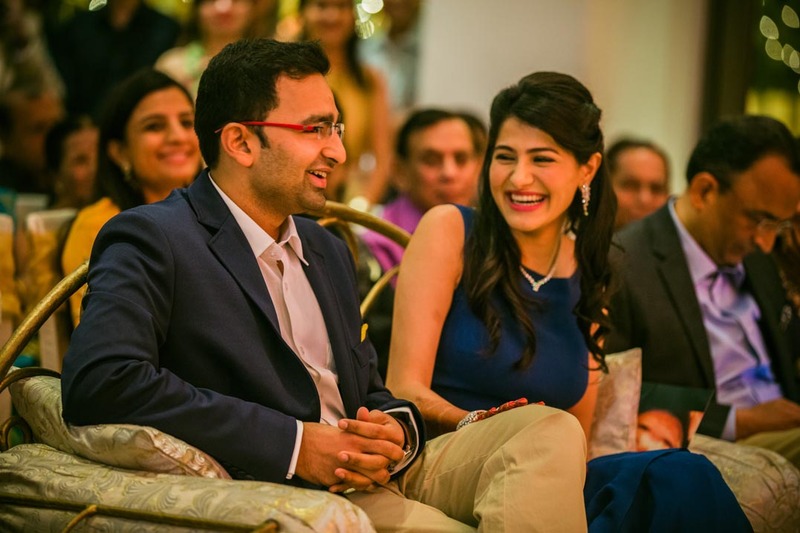 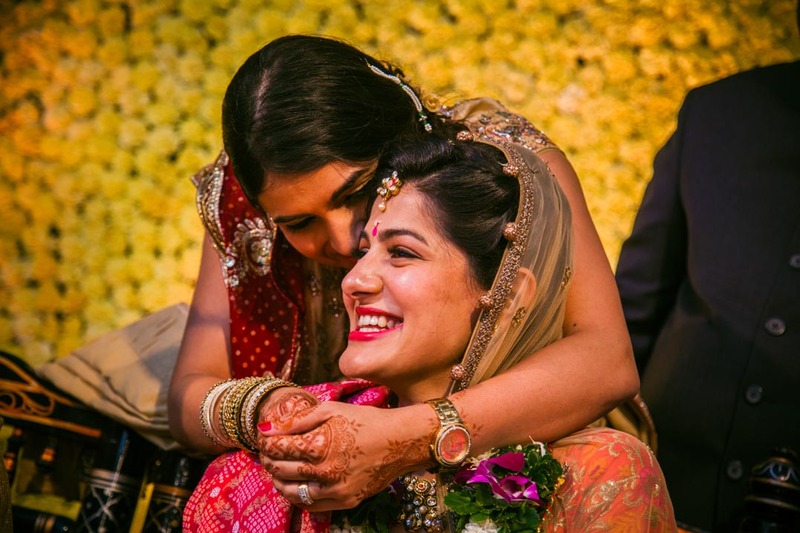 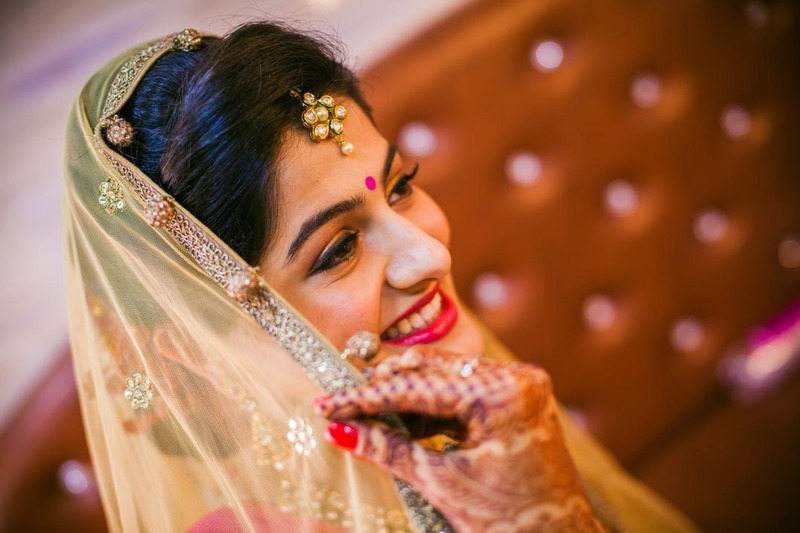 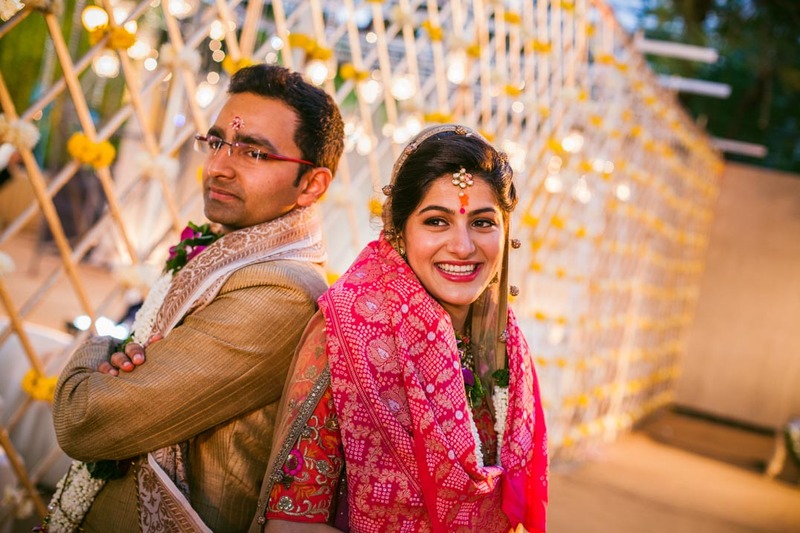 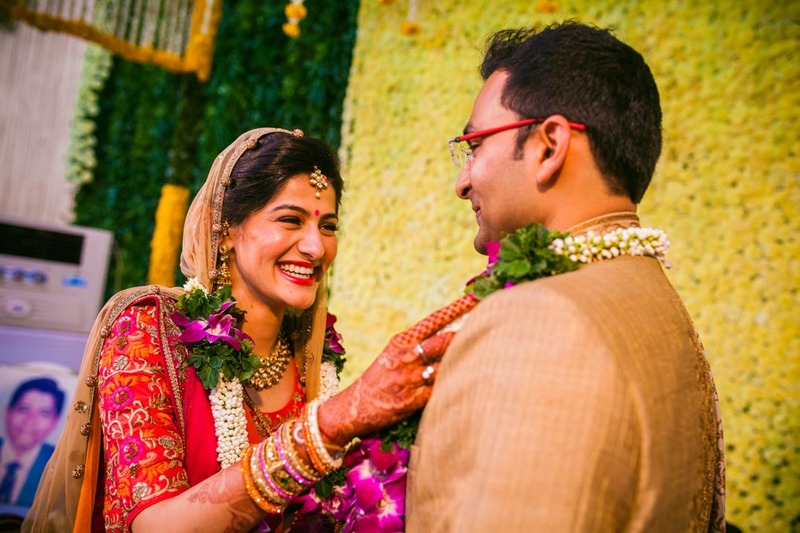 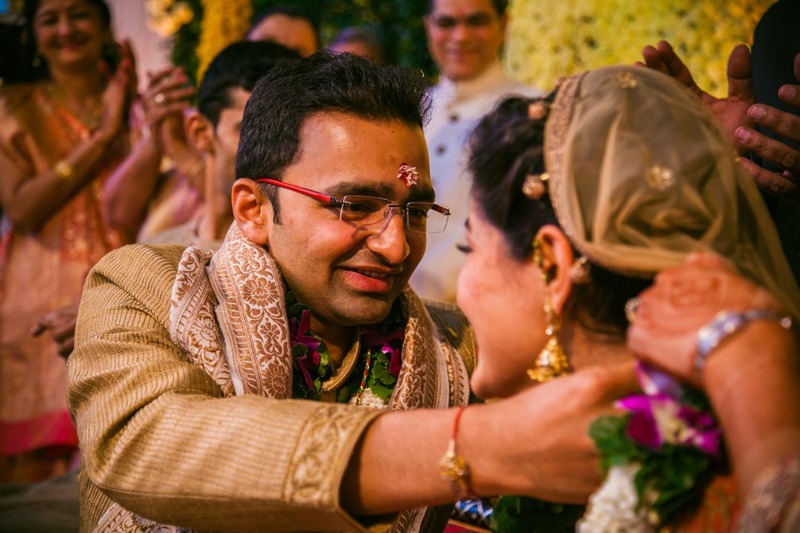 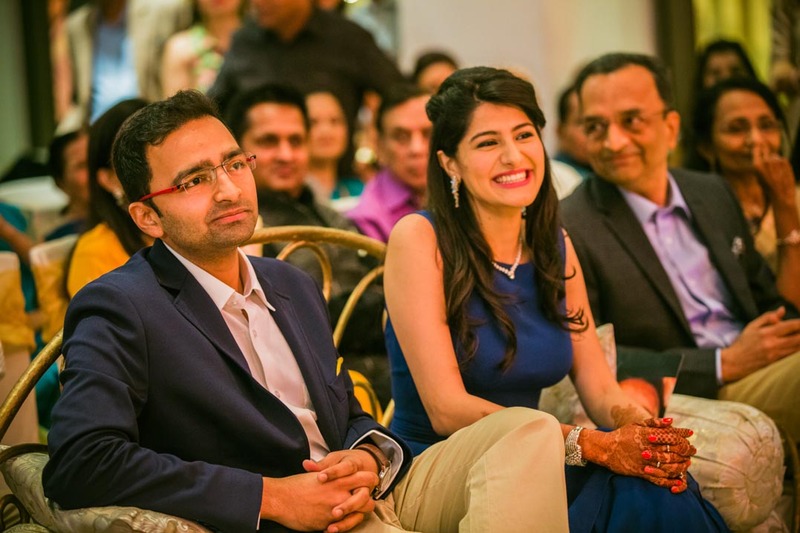 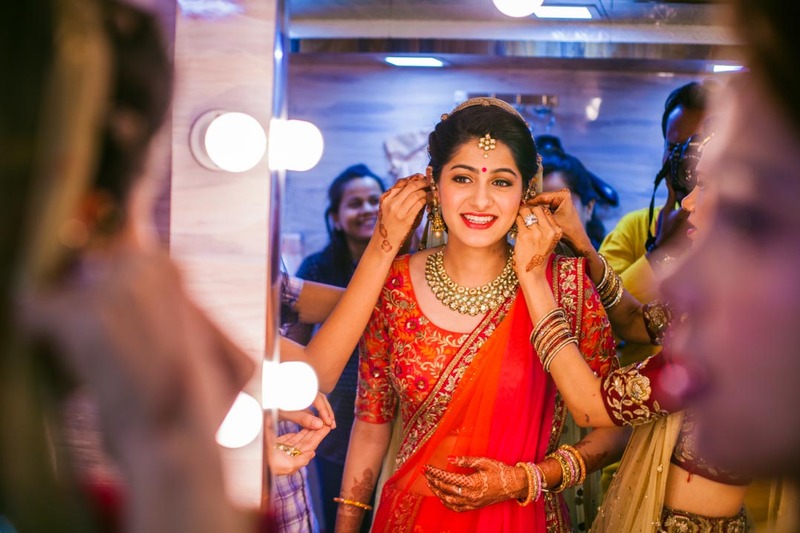 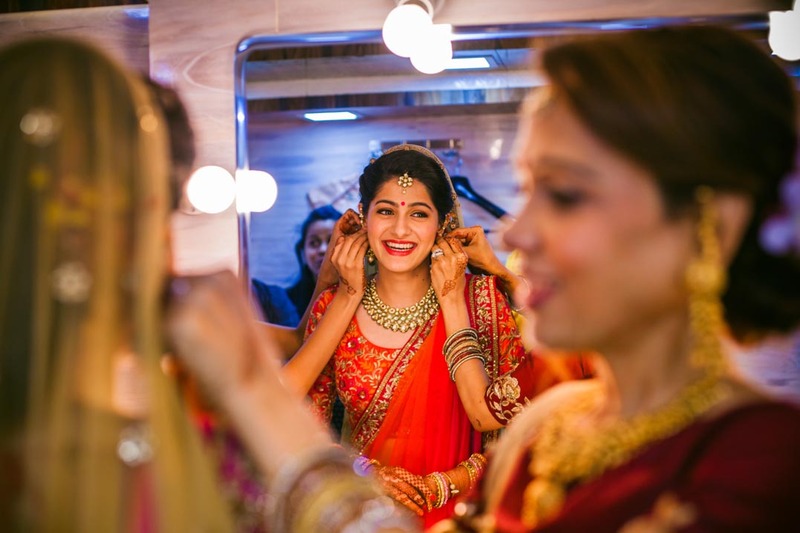 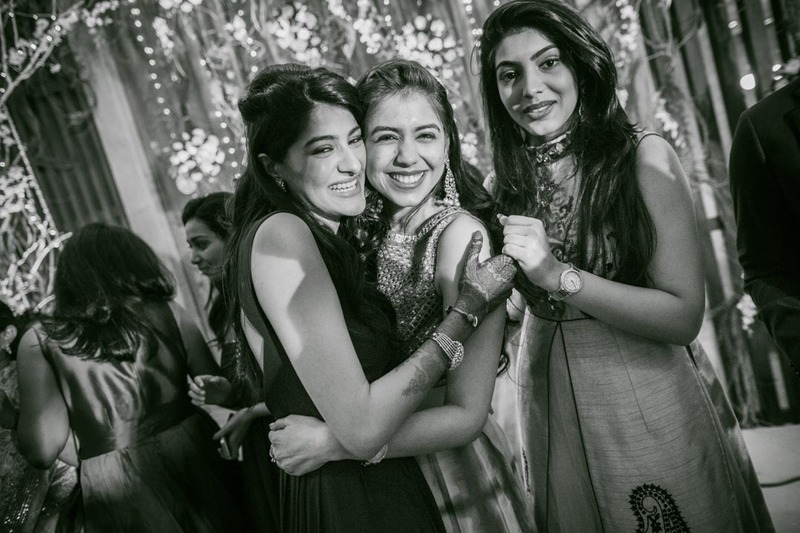 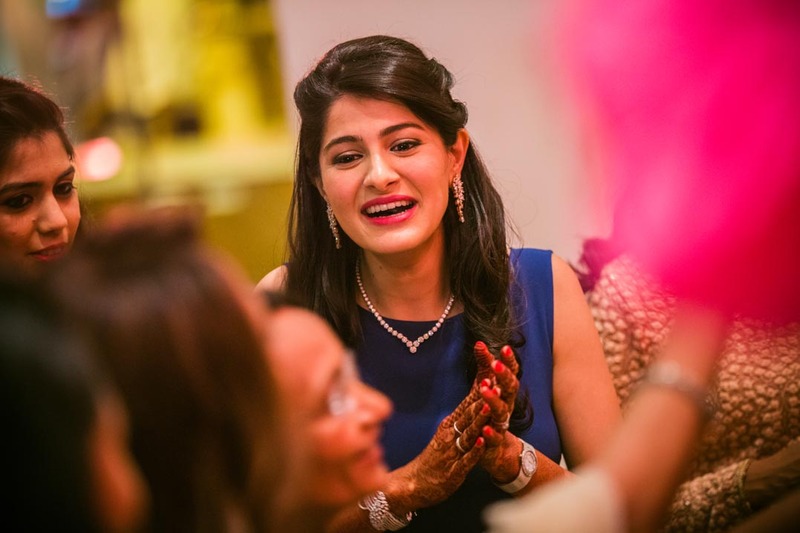 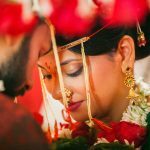 For Rushil who is at helm of affair at his family run hospital in Mumbai, Saloni’s infectious smile and ethereal beauty were sufficient to move his heart and take a plunge into marital bond. 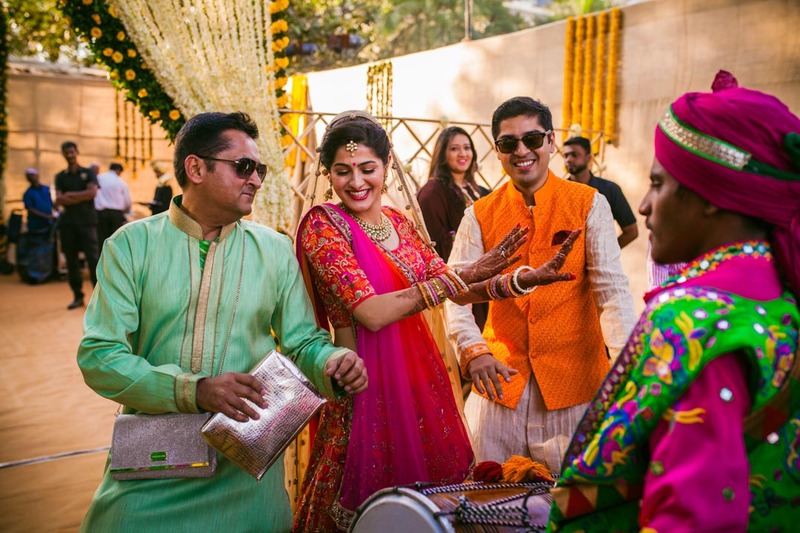 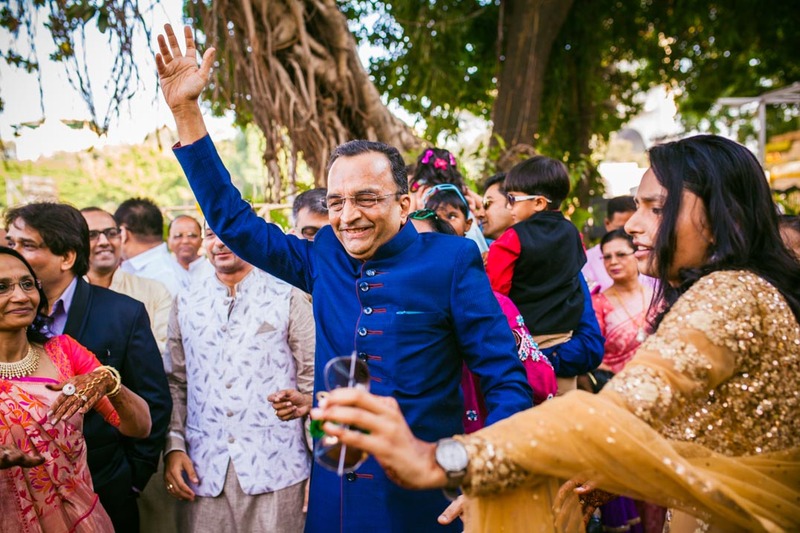 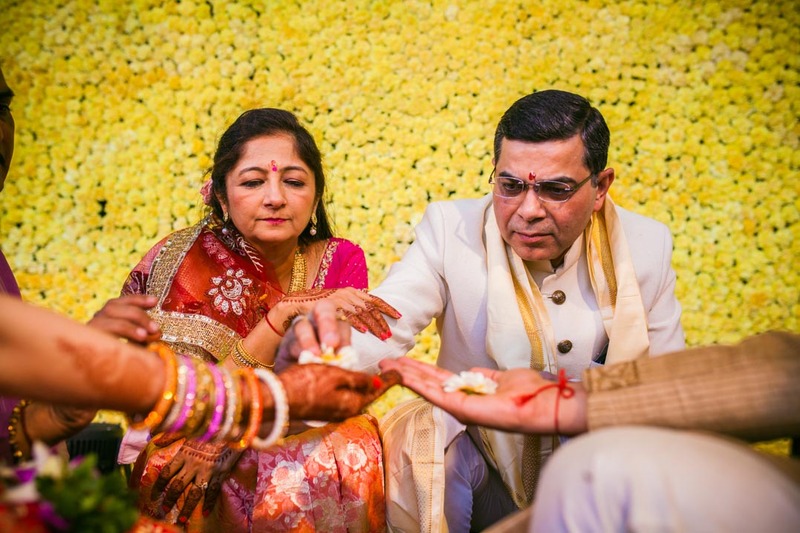 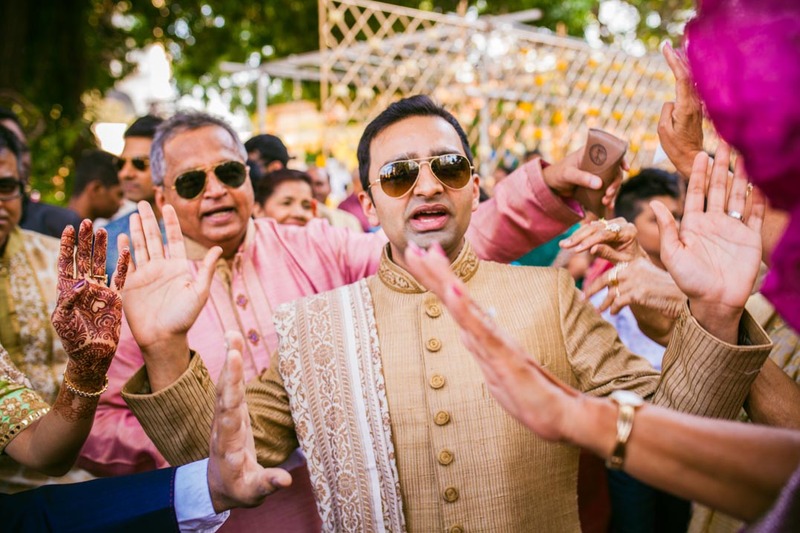 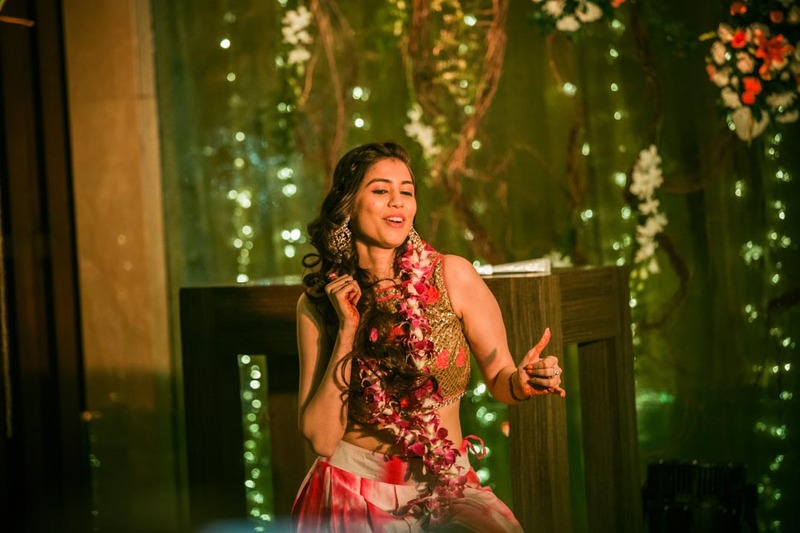 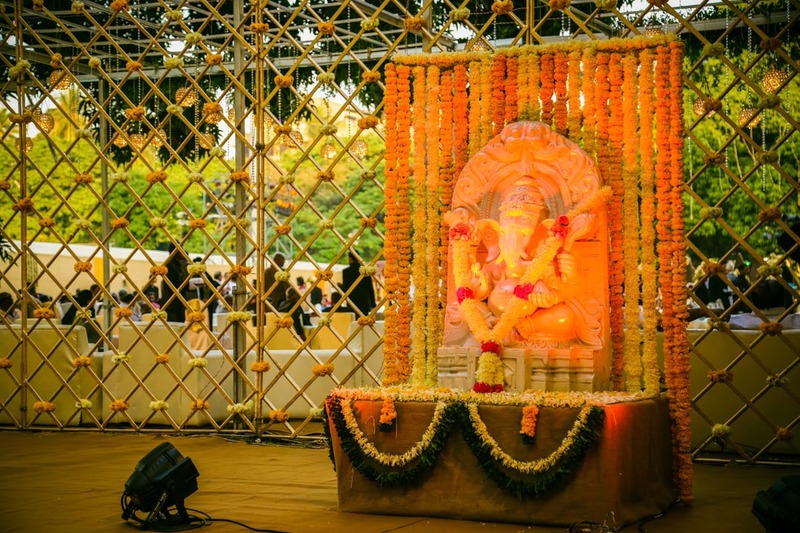 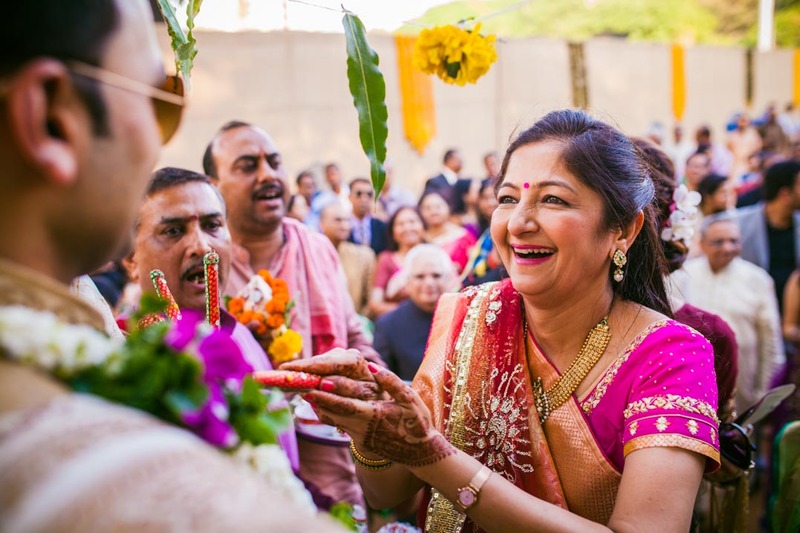 This authentic Gujarati wedding with mesmerizing floral décor stands out for its overwhelming dance performances, beautifully clothed guests, resplendent bride and the charming personality of the bride. 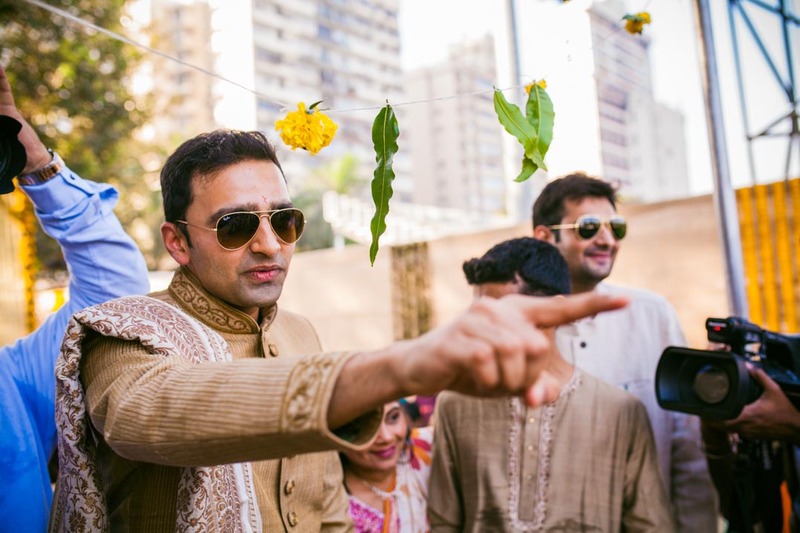 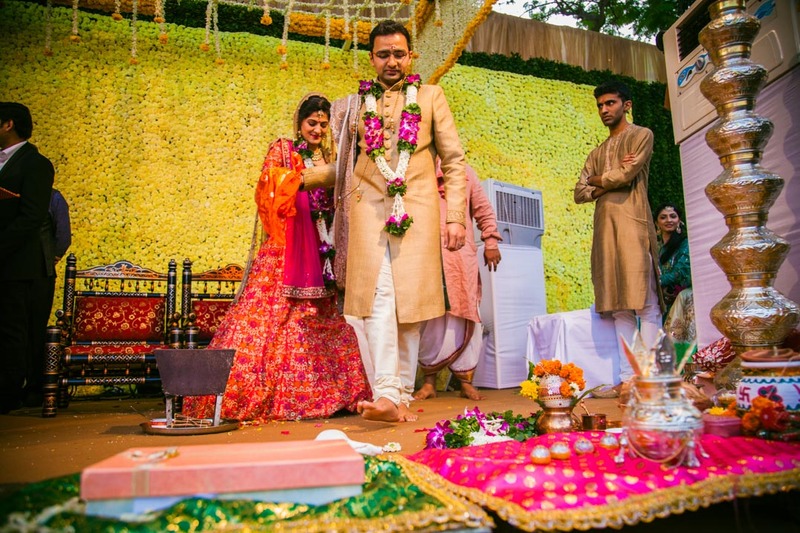 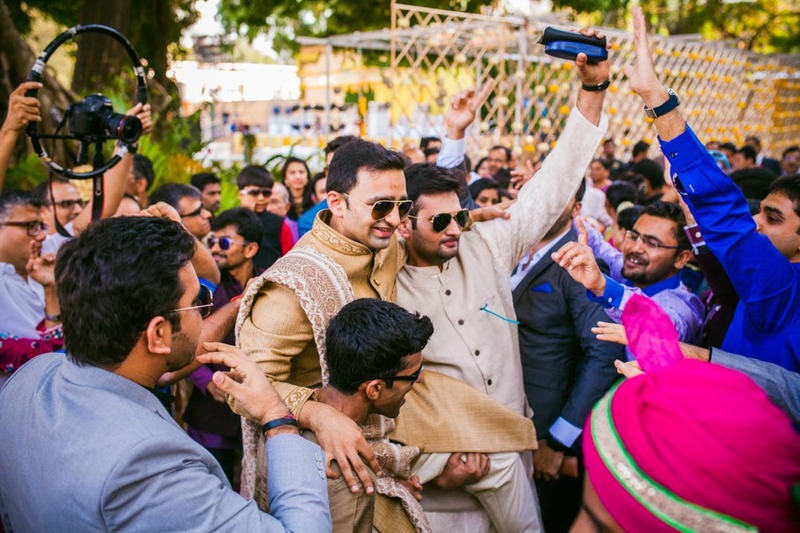 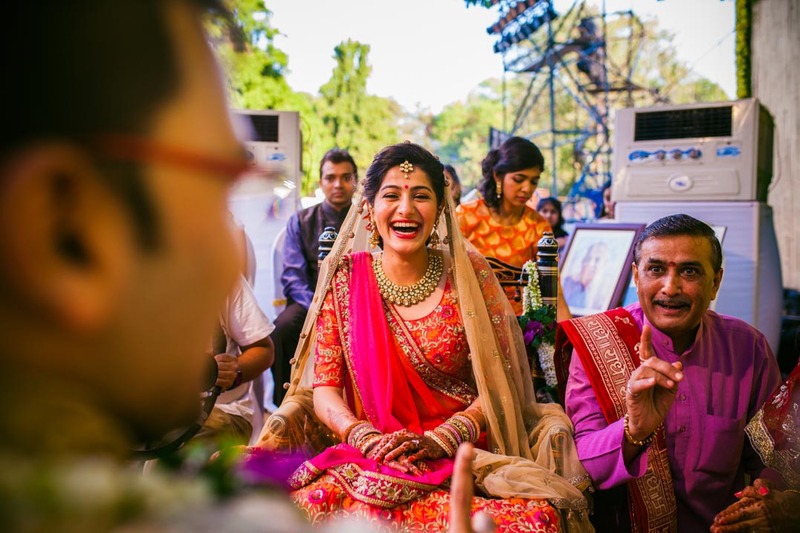 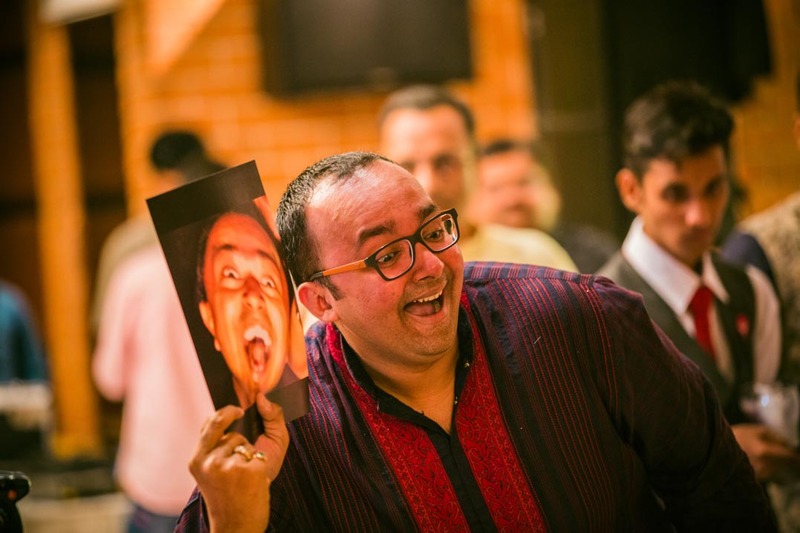 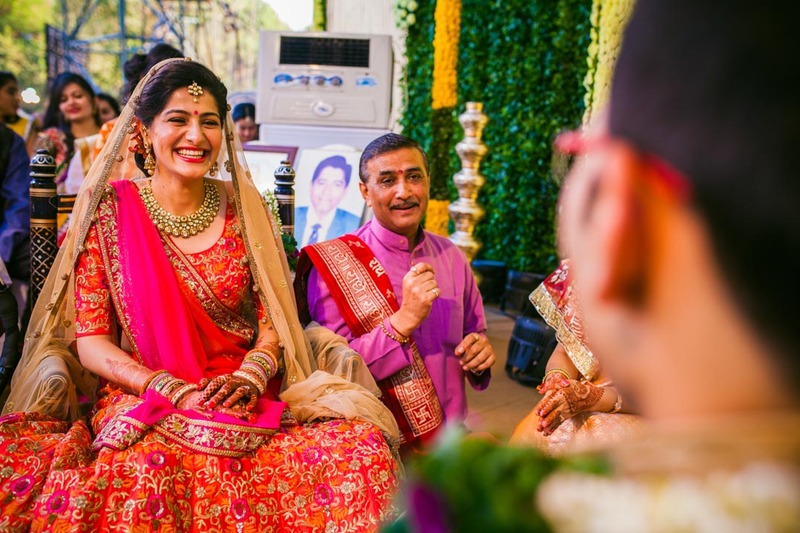 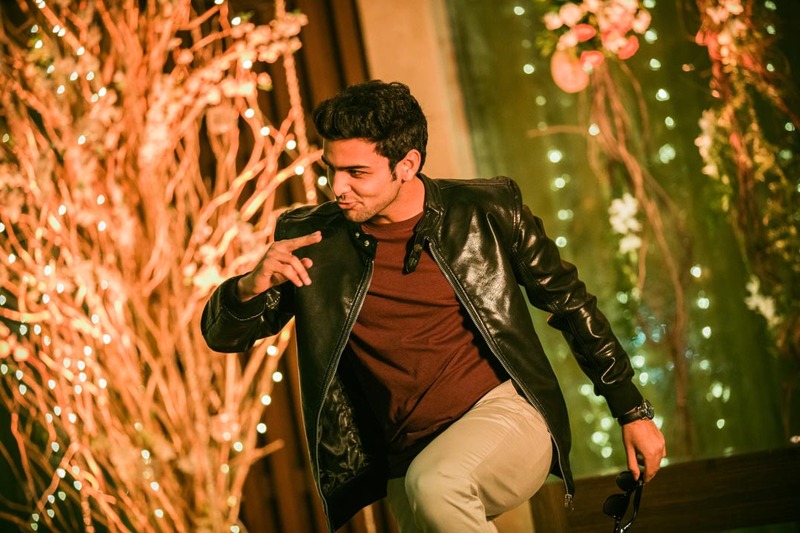 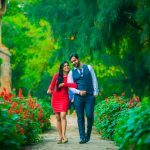 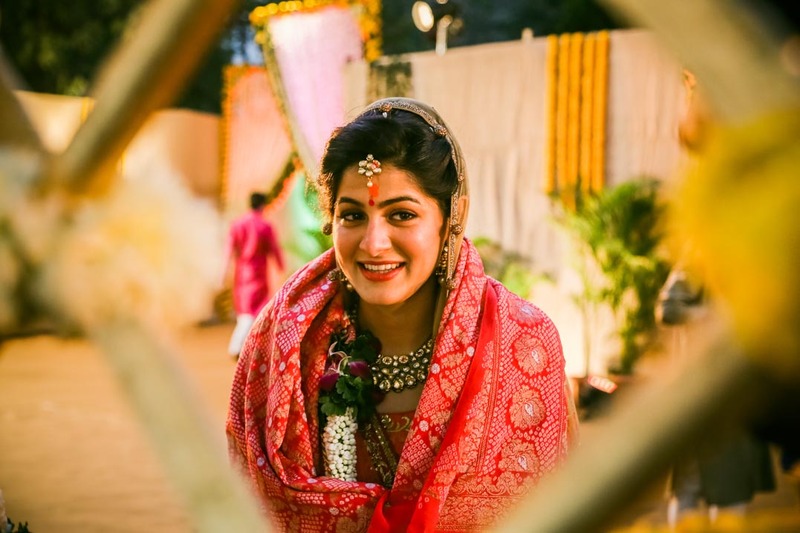 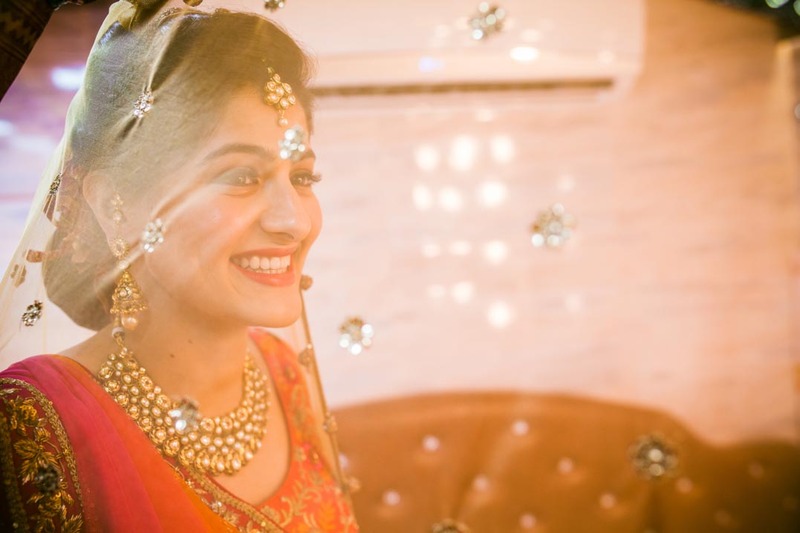 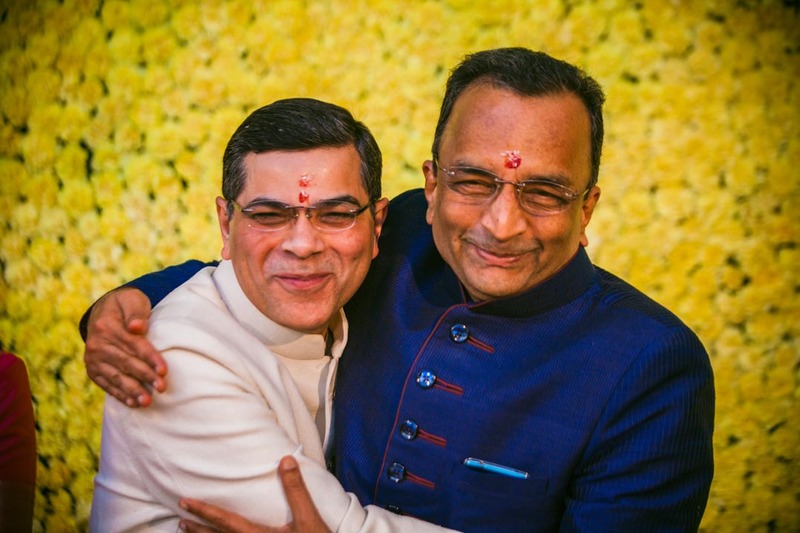 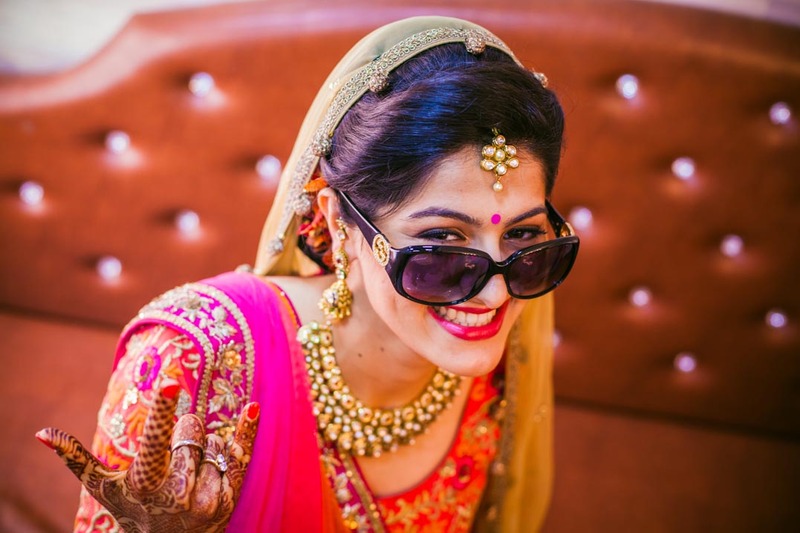 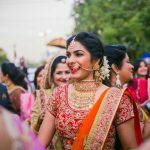 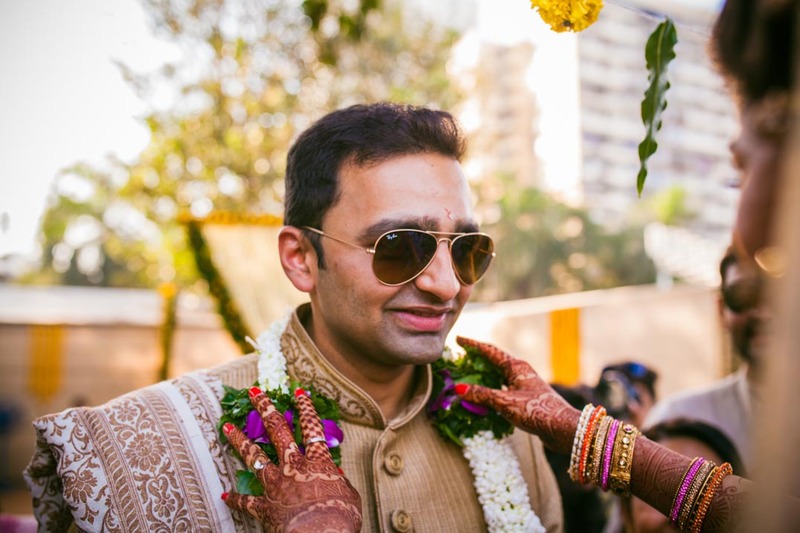 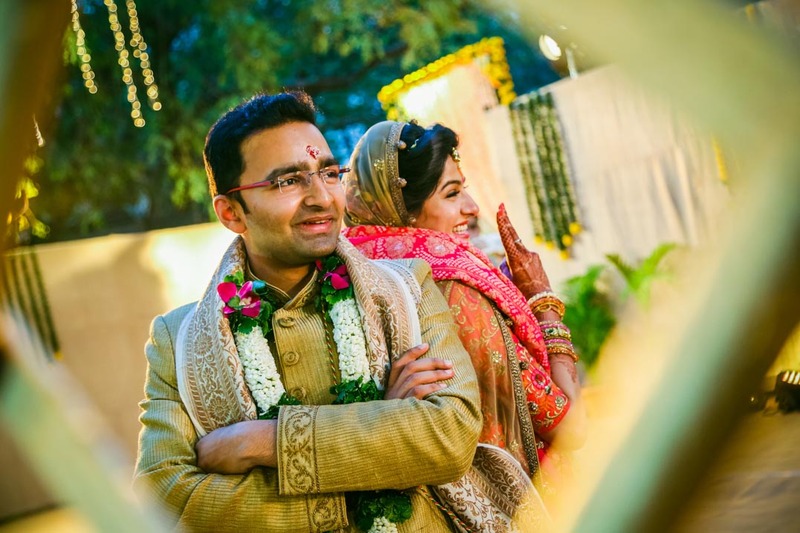 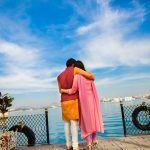 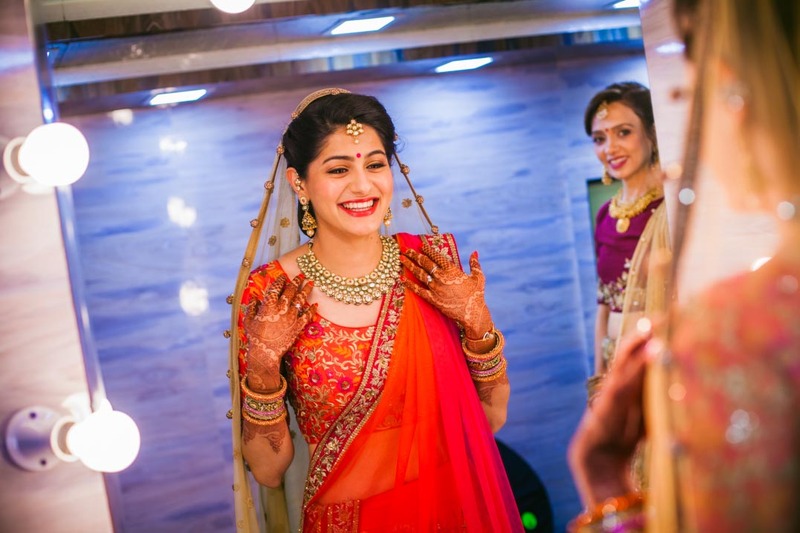 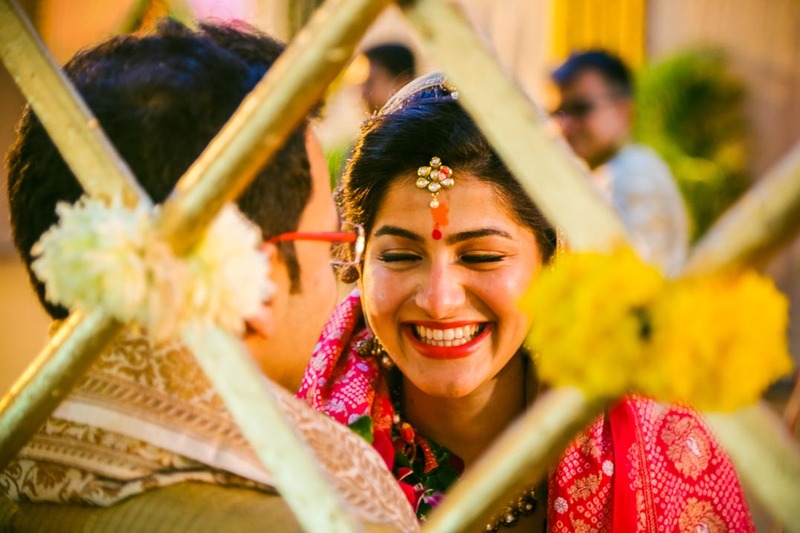 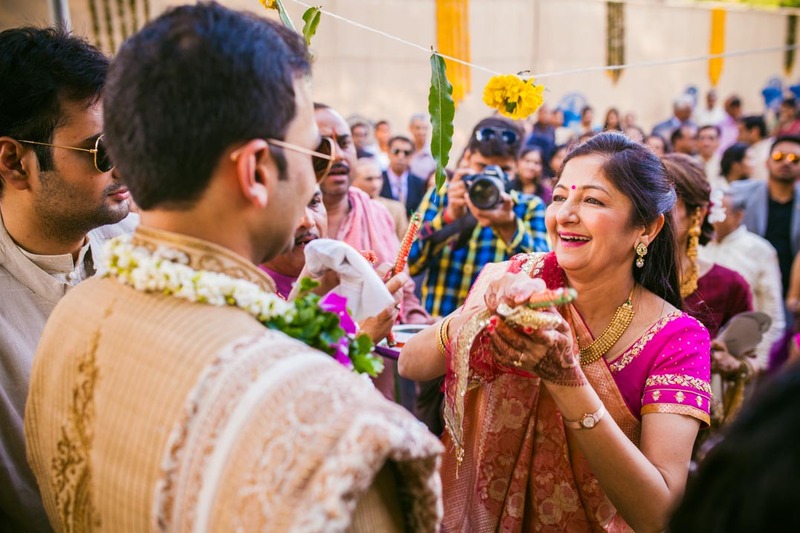 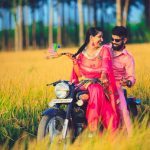 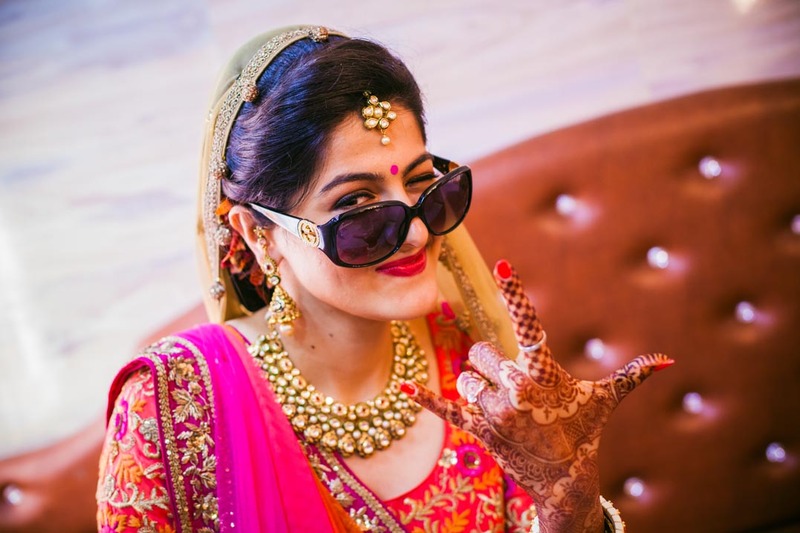 The unique factor that makes this one of the best and the most memorable Gujarati candid wedding photography in Mumbai was that the groom had to literally hunt for the bride during the exchange of garlands. 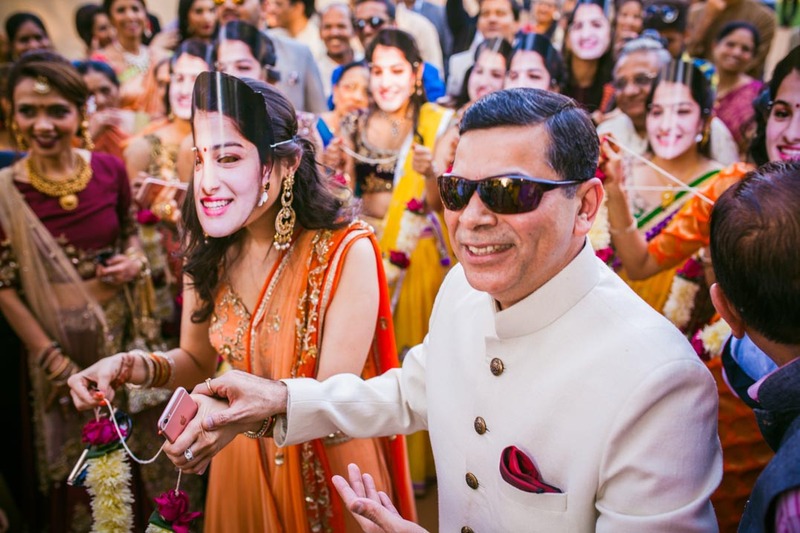 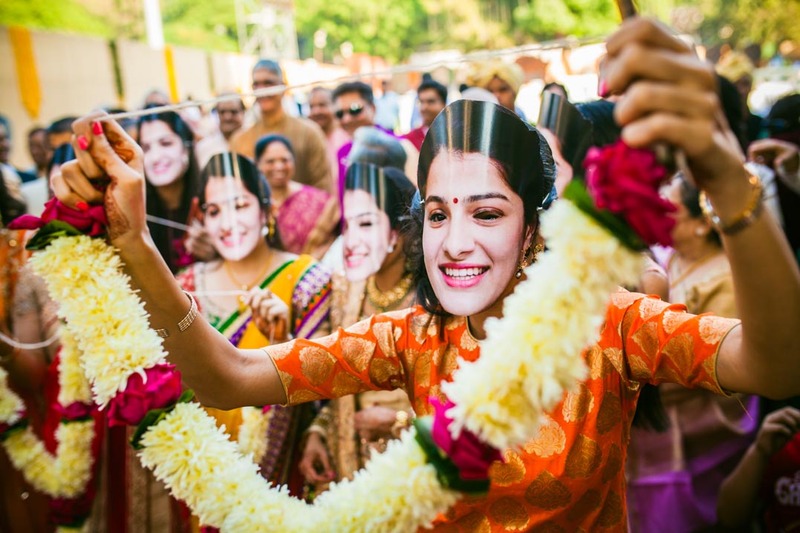 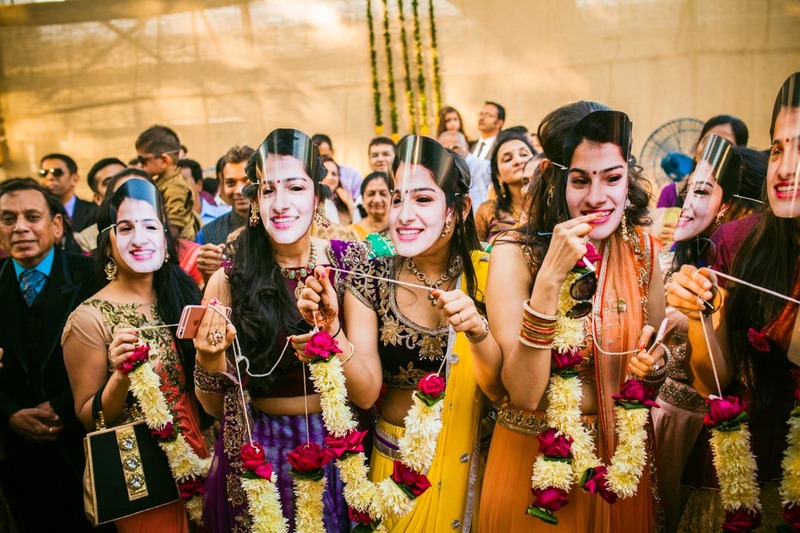 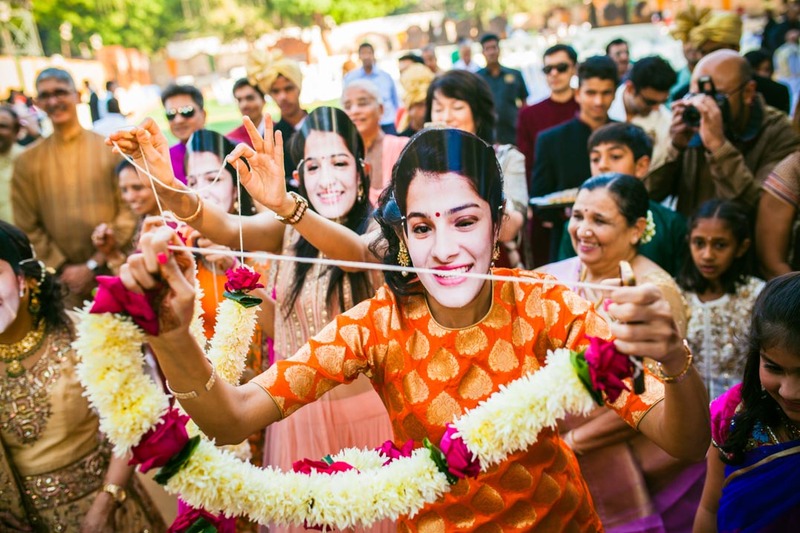 The women of the family wore masks of the bride putting the groom through a rather funny challenge of sorts to identify his bride. 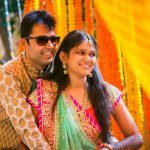 A fun filled wedding that gave us enough occasions to capture the attractive couple in the finest of moods and most charming of outfits.